With the passing of this day and Pope Francis leaving American soil comes the confirmation that the purported "Locutions to the World" messages have now unequivocally been proven to be completely false, and therefore they should be rejected by all of the faithful. I urge anyone who might still be considering them to be authentic to sincerely reflect upon the false prediction of "Mary" in the article below, and to preserve the purity and the integrity of their Catholic faith. Within the next few days, those who have been following the anonymous visionary who posts alleged heavenly messages under the title of "Locutions to the World" will have proof whether the purported visions are authentic, or not. I cannot say that the economic collapse is distant when really it is near, or that it will be short when really it will be long, or that it will be easy, when really it will be quite difficult. Only truth gives the light needed for hope. So, I will now speak words of truth. This collapse has been a long time in coming, preceded by many incidents that should have awakened the world. God is not the cause of the collapse and the collapse is not a divine chastisement. The collapse comes because of man’s free will and the choices he has made. The collapse has no purpose. It results from purposeless decisions made from self-interest. The collapse will not come before Pope Francis comes to America but it will happen while he is in America. I deliberately brought the Pope to America, the world’s financial center, to be here when it takes place. I want him to be part of the picture. I want him to be present. His presence in America will be my sign that the Church is very important in saving mankind from its own follies. Toward the end of his trip, he will have to shift his message and address the new world situation. In this way, I will begin to exalt the Church as a beacon of light in the darkness. During September, Congress will be voting on the Iran treaty. Terrorism and economic difficulties are the twin evils which will mark the years ahead. All of these good and evil forces, papacy, economic collapse and nuclear war will be merged in a single unforgettable moment, as they all come together in September, 2015. Comment: This is an extraordinary locution. "....The collapse will not come before Pope Francis comes to America but it will happen while he is in America. I deliberately brought the Pope to America, the world’s financial center, to be here when it takes place. I want him to be part of the picture. I want him to be present. His presence in America will be my sign that the Church is very important in saving mankind from its own follies. Toward the end of his trip, he will have to shift his message and address the new world situation." One thing is for sure--There is no wiggle room here! This visionary will rise or fall on this prophesy, and we shall all find out in the matter of days what the truth is concerning these purported heavenly messages. A little background info on "Locutions to the World"
"For many years, I have been director for a special soul. Five years ago, Jesus and Mary began to speak to this soul through the gift of locutions (as described by John of the Cross). These locutions now total over 800. I have discerned the validity of these locutions. Until now, these locutions were personal teachings given for the small community that gathered in prayer. Beginning on December 10, 2010, a new phase began, namely, some locutions were to be told to the whole world...."
However, in mid-2014, Monsignor Essef's statement and name was completely removed from the website. I have privately been informed from two different reliable sources that Monsignor Essef publicly disassociated himself with the alleged locutionist back in 2014, even using a lawyer to have his name and picture removed from the Locutions.org website. This writer is not very favorable in general towards "Anonymous" private revelations like this one because quite frankly there is no accountability to the person. Since they are anonymous, one cannot discern anything about their person or background, other than what is revealed in the purported messages. To me, when a alleged visionary or mystic identifies themselves and puts themselves and their reputation out there for all the world to discern, this at least initially lends some credibility to any private revelation. At least one can respect such a person for holding themselves publicly accountable for being the instrument of the private revelation, but with anonymous persons such is not the case, and this is why this writer is not at all favorable towards "anonymous" visionaries. And the recent scandalous fraud of the anonymous "Maria Divine Mercy" (aka Mary Carberry) very poignantly illustrates this fact, I believe. At this moment, the prophetic stage is set, and of course this writer is obligated to cover this story, given that I host this "Mystics of the Church" website. Stay tuned folks! The next few days will give clear and definitive evidence as to the authenticity of the locutions from this purported visionary. And as the widely reported "Blood moon" crosses the sky on Sunday evening, September 27, Pope Francis officially departs America at 8PM that evening, so the prophesy clock is definitely ticking down fast! There will surely be those who may want to try to downplay "Mary's" very specific predictions to the locutionist here. At Fatima, She told the children that She would come to them on the 13th of each month, and so She did. 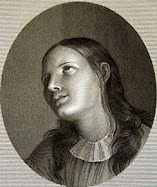 If it was really She who gave this specific prediction to this locutionist, then the events will occur as She promised, that is that "...the collapse will occur while he is in America" and also "Toward the end of his trip, he will have to shift his message and address the new world situation." Support this website! 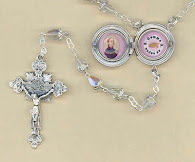 Check out the lockets and other items in the Mystics of the Church Gift Store! "Very shortly, things are going to start changing in a major way. America is dying, and the hardest times that any of us have ever seen are right in front of us." Economists have predicted such a collapse. One well known economist (whose name, ironically, has escaped me), believes that an economic collapse will occur very, very soon - possibly within the month. It is possible that this alleged prophet is familiar with such predictions. Whatever happens, I am not sold on the prophecies. While they are not heretical from what I have read, they are somehow different to the locutions received by many Saints, Blesseds etc. I guess we will see in time. ... I would like to add one thing. Over the years I have encountered many 'prophecies' that seem to be derived from other sources. In retrospect, certain prophecies were clearly false. There is no shortage of well-meaning individuals out there who genuinely believe that they have been inspired; but, following in the tradition of St. Paul of the Cross, it seems far more likely that any given prophesy is false (i.e. not inspired), rather than true (i.e. inspired). I mention these things because my experience is that avid readers of "the newest" prophecies are generally followers of at least one dubious apparition, mystic or prophecy - and therefore require prudence. I in no wise include you among such people; however, in saying that, I do have some reservations about a few of the mystics on your site. Nevertheless, these are non-essential matters; you are a precious child of the Church and you have done much for souls, including myself. I have been reading these locutions for about five years now and I am still not entirely sure what to think though I must say that I think they are more likely legit. Sometimes I am sure that they are - but then there's this seed of doubt because they are so specific. I know a priest who has met Msgr Esseff and he was told by him that they are authentic. I dont want to be a doubting Thomas but it is a fact that satan is prowling around trying to sow doubt and cause trouble, and its possible that he is trying to do this here. That said, I havent read anything that is against the Church's teachings and the locutionist's knowledge of the bible and history is pretty spot on. Thanks for your comments. Like you, I too have seen a few visionaries whose prophesies have turned out to be false. For sure, there is no shortage of reported prophets these days, and we definitely need to be very cautious and prudent when discerning such persons. Thank you for your comments. You are very right to point out that Monsignor Essef's support in favor of this person is what makes this particular visionaries prophesies something to seriously consider and discern. However, everyone's discernment is about to become very easy, as this visionaries predicted "economic collapse" is set to come during Pope Francis visit here in America. By Sunday evening we shall all have the truth concerning the authenticity of her alleged locutions. what purpose does this article serve? is it not like gamblers betting on the odds? if the Locutions 'prove' to be authentic have you not doubted the Inspirations of the Holy Spirit to The Most Holy Mother of Jesus? what is accomplished here? Instead of seizing the hour in urgent prayer, you are calling your readers to speculate, to doubt, to 'wait & see'... just like the 'Warning', or, the Return of Jesus. No, rather, let us seize this moment, unlike any other in our history, & Pray, Pray, Pray as if the Salvation of the whole World depends upon it. & if after Sunday 'nothing' has happened ... then affirmations of falsehood can begin. 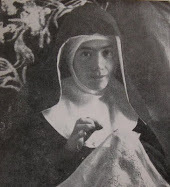 for myself, the voice of the Woman in the Locutions is w/the same strength as in Sister Mary of Jesus of Agreda, & revealed by Anne Catherine Emmerich. You know, if this financial crash comes while Holy Father is in USA. I will find the whole thing very touching. President Obama was brought up by his grandmother, Holy Father was brought up with the help of his grandmother. Now, President Obama did not have his biological father around when he grew up. So if something so devastating should happen, I see Heavenly Father giving Mr Obama a wonderful fatherly figure in the person of Holy Father Francis, to support him. And God knows, even the President of USA needs to have the love and support and encouragement of a father figure should this financial crash come during his tenure. Funny, anonymous, the last few days I have been feeling sorry for the president....because he had no real father and so many very sad circumstances as a child growing up. Surely this is not a matter of "doubting inspirations of the Holy Spirit to The Most Holy Mother of Jesus" because thusfar we are not speaking of a Church approved apparition, such as Lourdes, Fatima etc...and even with the Church approved apparitions, one is not obligated to believe in them; the Church only recognizes that they are worthy of belief. What we have here is a very questionable anonymous visionary who publishes alleged heavenly messages on the internet. 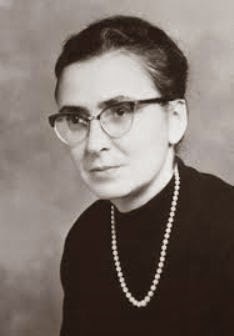 Another important thing in your comment that must be addressed is that the "Anonymous" visionary of Locutions to the World is definitely not on the same level as the two mystics that you cite, because the heroic virtues of BOTH of them have been officially recognized by the Church--Anne Catherine Emmerich being a Blessed, and Mary of Agreda being a Venerable. So no, it would be a definite error in judgement on your part to classify the anonymous visionary of Locutions to the World in the same category as the two Church recognized mystics that you cite. Lastly, as to your wondering what is the purpose of this article? Well, it is to provide information for those who are interested in such matters. As for the necessity of prayer for these perilous times, well I completely agree with you on this one. And while Pope Francis is in Washington DC today we also celebrate the feast day of a true and great mystic, Saint Padre Pio! You keep referring to this anonymous vessel of the words of Mary and Jesus as a 'visionary' however I think the more accurate moniker is 'locutionist.' She doesn't see the apparition, she 'hears' messages. I think this person is a false prophet. She had several inaccurate locutions regarding the conclave that happened in 2013. Once someone has predicted false prophecies, one should reject them as not speaking the words of heaven. You are right! The more proper term in this case would be "locutionist". I use the more common term "visionary" simply just because it is readily understood by most people--even those outside the Church. For some, the term "locutionist" seems to call to mind the popular term "illusionist" so I tend to shy away from using it often. But you are very right that in this case it is the correct terminology. Well. I am from Canada and a french speaker, so sorry for my bad english. Every collapse begins with a flash point which cannot be known ahead of time. Surprising factors converge. The pressure is too much and the breakthrough happens. Afterwards, the reasons for the event are clearly seen. ......So, what I am speaking about is no surprise. ....It will not destroy everything. It is a warning, not the final destruction. It is a beginning event and in the years that follow, many more such events are planned by Satan. They are meant to follow one another. ....This is the beginning, not the end, a special beginning. So I suppose that people could be wrong in their expectations for something causing complete disaster with no way out at this particular time. It is rather stating that there will be more to come in some type of very "bumpy ride". I've been following this visionary for a while now. One aspect of her messages that can be highlighted is that they have been very pro "Pope Francis". Personally, I've been very concerned about our Pope. If what is predicted for this week does happen, by default it will be an affirmation of Pope Francis. I think St. Paul says somewhere that ""All prophesy is imperfect." And I have read of cannonized saints who only had about a 90% track record. It was explained to me once that often the concept - not the words - enters the mind and the recipient must find the words to express it. Hence all the different styles of expression among locutionists and even authors of the books of the Bible. I came to know about the locutions when Pope Benedict resigned. When I saw that newly elected Pope Francis is a Marian as foretold in the locution messages, I knew then this is authentic. Since then I have followed the messages faithfully. I also read the messages given before. As far as I know, this visionary (I'll use this term as Glenn does) is the only one among many alleged visionaries who mentioned a new pope one year before Pope Benedict's resignation. And I have no problem with a faceless visionary. Actually, I believe that she should be hidden to protect her from the assails of the world as well as to help her to fulfill her mission well as the mouth piece of the Blessed Mother Mary. It reminds me of the case of Maria Valtorta who Our Lord Jesus wanted to be hidden until her death. I'm sure this visionary (as well as her spiritual director) is under tremendous stress and suffering. It would be good for us to pray for her and offer our love and suffering for her well being. Even Fatima was questioned on at least two points I know of. One of the prayers taught the children ends "...Thru the infinite merits of the Sacred Heart of Jesus and the Immaculate Heart of Mary, I beg the conversion of poor sinners." The question was raised about using the phrase "infinite merits" in conjunction with "Immaculate Heart of Mary". It was finally decided that it must only apply to "Sacred Heart of Jesus". Secondly, that world war II would begin during the pontificate of Pius XI. The world recognized it to begin during the reign of Pius XII. However the Japanese had been warring in the Pacific long before that. And, just as Our Lord told us that a man looking at a woman with lust in his heart has already committed adultery, so when the single minded Hitler decided on war would be seen by heaven as the start of it, rather than the first act of war by him. Thank you all for the excellent comments so far. The different perspectives here are very interesting. "Toward the end of his trip, he [Pope Francis] will have to shift his message and address the new world situation"
So, because Mary is speaking of a "new world situation" that the Pope himself will need to address while he is here in America, obviously it WILL have to be a very obvious and serious economic collapse\event. As I mentioned at the end of the article, lets not try to downplay "Mary's" very specific prediction to the locutionist here. At Fatima, She told the children that She would come to them on the 13th of each month, and so She did. If it was really She who gave a specific prediction to this locutionist, then the events will occur as She promised. Thank you to all so far who have commented. At the website "After the Warning," messages belonging to the thread of economic collapse are published, numbered 1 to 19.Only a few of these alleged locutions mention Jesus. Most of them, allegedly spoken by Mary, use "I" and "me" excessively. (Like listening to President Obama speak ;) I cannot believe Our Blessed Mother would speak so often of herself and not refer just as frequently to her Son and to The Father. And yes, I remember when the locutions were discussing the resignation of Pope Benedict. Many of the predictions made about the conclave and the next Pope's election were manifestly false. (It would be a long conclave...the new pope would be virtually unknown...) Faith and reason are never opposed, as Pope Benedict taught us. Neither is faith and common sense! "WHEN THE POPE VISITS AMERICA, THE ECONOMIC COLLAPSE WILL BEGIN.."
The LTTW messages strike me as odd as well. They seem very political and the language usage and overly verbose commentary is strange. Contrast the LTTW messages to the terse and pointed messages given at Fatima. The fact that Fr. Esseff is associated though is noteworthy. But then again, Fr. 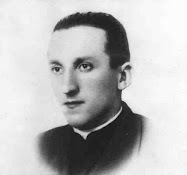 Stefano Gobbi's messages had the Imprimatur and there were Cardinals, Bishops and thousands of priests who were members of the Marian Movement of Priests. And yet 1998 came and went, and no triumph of the Immaculate Heart. "several inaccurate locutions regarding the conclave that happened in 2013." "So no, it would be a definite error in judgement on your part to classify the anonymous visionary of Locutions to the World in the same category as the two Church recognized mystics that you cite." Our Lady refers to herself in the Locutions as 'the Woman', &, the Woman Clothed with the Sun, called as such by our Lord & Savior Jesus Christ. my statement stands; the voice of 'the Woman' in the Locutions is w/the same strength as in Sister Mary of Jesus of Agreda, & revealed by Anne Catherine Emmerich. For me, it is the same Woman speaking; same strength, vigor & piercing vision. I have to wonder how many on this thread have read the 4 volumes. "Begin with the deepest mystery, the secret which I constantly reveal. The Father knew the path which mankind would take. He understood Satan’s plan. So, He raised up the Woman at Fatima. He brought me front and center and allowed everyone to see my power over the sun." I don't see the point of posting the rather irrelevant comment above? By Sunday everyone will have proof whether this person is a true messenger, or not. So what if there is an economic collapse in the next few days? God is with us and for us, so, so what? 26 Look at the birds of the air, for they neither sow nor reap nor gather into barns; yet your heavenly Father feeds them. Are you not of more value than they? 27 Which of you by worrying can add one cubit to his stature? 28 “So why do you worry about clothing? Consider the lilies of the field, how they grow: they neither toil nor spin; 29 and yet I say to you that even Solomon in all his glory was not arrayed like one of these. 30 Now if God so clothes the grass of the field, which today is, and tomorrow is thrown into the oven, will He not much more clothe you, O you of little faith? 31 “Therefore do not worry, saying, ‘What shall we eat?’ or ‘What shall we drink?’ or ‘What shall we wear?’ 32 For after all these things the Gentiles seek. For your heavenly Father knows that you need all these things. 33 But seek first the kingdom of God and His righteousness, and all these things shall be added to you. 34 Therefore do not worry about tomorrow, for tomorrow will worry about its own things. Sufficient for the day is its own trouble. Go and read your bibles and pray and act in accordance with the true "locutions" and "prophesies" within them. Stop wasting time with this nonsense which is whipping up needless anxiety and disturbing you souls'God given peace. A most irresponsible article. But such seem to be becoming the norm for this once helpful website. "A most irresponsible article. But such seem to be becoming the norm for this once helpful website." Well, in my own defense, I would think that most people would like this website to not only highlight *Church approved* mystics and visionaries, but to also keep abreast of the "prophetic pulse" of today, for God certainly continues to work amongst us, raising up mystics, prophets and visionaries for our own time. WEDNESDAY LATE NIGHT HERE ON THE EAST COAST & STOCK FUTURES LOOK STABLE ENOUGH GIVEN RECENT VOLATILITY. ASIAN MARKETS ARE OPEN & NOTHING OF MAJOR SIGNIFICANCE IS HAPPENING ... IF THE ECONOMY IS GOING TO COLLAPSE - U.S. OR SOMEWHERE ELSE (FOR GLOBAL RIPPLES). IT HAS TO HAPPEN BY FRI. 9/25/15 @ APPROX. 4:00 P.M. E.S.T. ... OF COURSE I CAN THINK OF AN AWFUL LOT OF UNKNOWN VARIABLES THAT COULD MAKE IT HAPPEN QUICK & FAST W/IN APPROX. 48 HRS. DESPITE THE RELATIVE CALM WORLD MARKETS RIGHT NOW. I DO BELIEVE A MARKET CRASH IS, IN FACT, COMING ... BUT ... BY FRIDAY (9/25 @ 4 P.M.). It's not fair to judge prophecy by someone getting 'exact dates' or other information correct, if that were the case the majority of mystics and prophets would have to be discounted. It almost smacks of heresy to compare the 'qualifications' of a mystic to those of a medium when that is not even what prophecy is about. What counts is fidelity to the truth of the church, no one is called to believe them as Monsignor originally said, if they help your faith fine, if not leave them be. False prophecy does more than show someone to be wrong. It can have a terrible effect on a person's outlook of the future and lead to cult-like adherence to the 'prophet'. Consider a mother who somehow unfortunately latches on to a false prophecy and lives fearfully in raising children, fearful about how to cope in a 'storm' only to find later the prophecy was phony. I read of one woman who learned she had become pregnant but was not embracing her pregnancy because of Charlie Johnston's prophecy about a storm that will affect all aspects of living. That makes me sick to my stomach. When these locutionists are wrong, do they ever apologize to the rest of us who wasted their time and emotions? No. When someone like Michael Brown publishes the Final Hour loaded with expired false prophecy, does he ever say, Look readers, I got some things wrong here and I am so sorry for leading you astray, but I guess a sucker is born every minute and I am going to capitalize on that. I leave you with the Lord's words to the prophet Jeremiah. Remember these are Almighty God's words given to us from Sacred Scripture. He said...Jeremiah 23: 30-32 “Therefore behold, I am against the prophets,” declares the LORD, “who steal My words from each other. 31“Behold, I am against the prophets,” declares the LORD, “who use their tongues and declare, ‘The Lord declares.’ 32“Behold, I am against those who have prophesied false dreams,” declares the LORD, “and related them and led My people astray by their falsehoods and reckless boasting; yet I did not send them or command them, nor do they furnish this people the slightest benefit,” declares the LORD. Well said Anonymous directly above! I applaud you! That's blatently unfair as Charlie Johnston clearly says that it matters not what is going to happen, you are to live up to and do your duties regardless of what does or doesn't happen and he says it repeatedly when people start acting unreasonably as if he is a fortune teller or act as if they can prepare. Don't confuse those who ask you to be aware of the times in a prudent way, meaning never lose your true compass with fear mongers who misconstrue prophecy and then cast blame because of it. It is absolutely true that false prophecy can be devastating, both to individuals and to the Church as a whole. I had a friend who went to a Charismatic healing service. The "healing priest" from Africa declared her cancer would disappear by the end of the year. She seized on this "word" and insisted to family and friends she would be healed. (At least she didn't stop her treatment.) But by Christmas she had died. Her very bitter father did not get over this and blamed the Church for the actions of this showboating priest. All these people getting frantic over the locutions, madly withdrawing money from the bank and fearfully posting warnings to Facebook friends. Won't they be dismissed in the future as a nut whenever they give an opinion? Some individuals have throw discretion and discernment out the window. This is bad fruit. The Holy Spirit gives peace, prudence, joy. I see no peace, no joy in these sometimes bitter rants. I have privately received information from one reliable source who told me that Monsignor Essef disassociated himself with the alleged locutionist of "Locutions to the World" almost a year ago, even using a lawyer to have his name and picture removed from the Locutions.org website. So his current position and affiliation in regards to this locutionist is not clear to this writer at this time. "I have privately received information from one reliable source"
Has the diocese of Scranton ever come out with a statement? Has anyone contacted them? It is the duty of the bishop, not the spiritual director, to assess any messages to a Catholic in his diocese. I am surprised someone like Michael Brown hasn't looked into this before. Why don't those who claim they have spoken to Msgr. Esseff or his friends get on the phone now? Well, like I said the source that gave me the information is private, but he did say that he received the information second hand, from yet another reliable source. So, this is why I am definitely leaving it as an open question at this point. However, sticking to what is most important here, the main issue is the specific prophesy allegedly by the Virgin Mary cited in the article consisting of predicted events and the specific time frame given, and at this point there are only 4 days remaining for fulfillment, so time will very soon tell one way or another, and individual opinions of Mons. Essef or anyone else will not matter whatsoever if the purported message from the Virgin Mary itself is not fulfilled, because the events, or lack thereof, will bear witness to the truth and speak for itself. 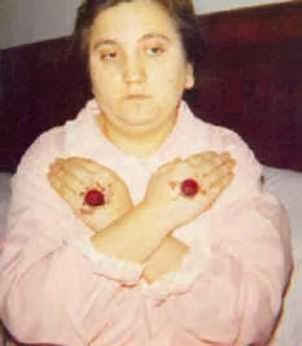 This locutionist claims that the 1984 consecration of the world and Russia by St. JPII and verified by Sister Lucy was not fulfilled. That's enough for me to dismiss her claims. Our Lord taught us, "Do not judge so that you may not be judged" and "A tree is known by its fruits." I have read all locution messages and found nothing that is contrary to Catholic Church teachings. It is also known that, at the end times, we would be saved through the intercession of Our Blessed Mother. When Our Lord told his apostles that he would be betrayed, captured, and killed and, after the third day, he would rise again, they did not understand and did not know when that would happen. Then at the last supper, Our lord told him it would begin at that night; still the apostles doubted even then until it happened at the Garden. From the scriptures and many catholic prophesies, we know that one day we will go through tribulations but we do not know exactly what and when. Economic collapse is one of the events we are expecting. I believe that Blessed Mother told us exactly when through locution messages. Tomorrow Pope Francis is scheduled to visit 9-11 site which is right next to the Wall Street. Blessed Mother explained us that he would be there at the center of the financial world when the collapse takes place so that the world would know the role of the Catholic Church and have hope in the midst of the destruction caused by Satan and his instruments who, knowingly or unknowingly, works for him. Until it is proven untrue by facts, I believe in the locution messages and I tell people around me about them even if they think I'm a nut. For what it's worth, there was nothing contrary to the Catholic Church'es teachings in the "messages" of the Blessed Mother to Fr. Stefan Gobbi. And unlike this secret locutionist, Fr. Gobbi's messages had the Imprimatur of James Bryne, Archbishop of Dubuque, May 20, 1993. And Fr. Gobbi even said Mass with St. John Paul II, and yet Fr. Gobbi's prediction of the Triumph of the Immaculate Heart in 1998 was FALSE. And in 2011 Fr. Gobbi passed away. It's kind of hard for me to believe that the Blessed Mother would be passing along these messages to an anonymous source without the approval of her Bishop, and that the Blessed Trinity would hold us accountable for not believing in them. Much of this apparition chasing smacks of people looking at their horoscope to try to divine the future. We have the Mass and the Sacraments. Pray the Rosary and recite the Liturgy of the Hours and you won't be led astray. Regarding the consecration of Russia to Her Immaculate Heart, when it is done, Blessed Mother promised a lasting peace. The facts that the world is in turmoil all over, wide spread immorality and absence of genuine peace prove that the consecration was not done. Pope John Paul II consecrated the world and, later, he admitted that he couldn't do what was asked at Fatima because the Church was not ready. 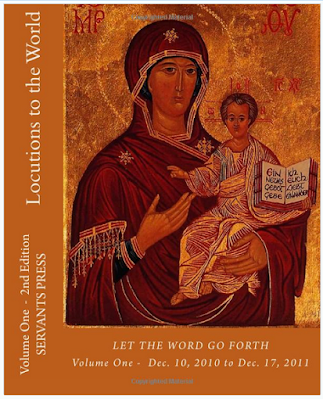 It will be fulfilled soon as Blessed Mother explained to us through the locution messages. We pray for that fulfillment as soon as possible so that we may see the complete destruction of Satan's work and the triumph of the Immaculate Heart of Our Mother. "Much of this apparition chasing smacks of people looking at their horoscope to try to divine the future. We have the Mass and the Sacraments. Pray the Rosary and recite the Liturgy of the Hours and you won't be led astray." I usually do not like to respond to a faceless anonymous person since who knows who they are. However since Our Lord taught us to be charitable, I say "Thank you for your concern. I do know the importance of the Mass and Sacraments from which we receive grace and strength to be faithful and praying rosary daily. Also since you know Father Gobbi and MMP, you would know the advice that "it is better to believe than not to believe." Like you, I was disappointed when the dates were passed without the prophesied events. However I do not consider it false; rather I consider it like prophet Jonna. I understood later that the events were delayed through the intercession of Our Mother and we were given more time to repent. So, please be at peace and pray and watch." Francis K.,I appreciate your posts. In the act of offering of May 13, 1982, Russia did not appear as being the object of the consecration. And each bishop did not organize in his own diocese a public and solemn ceremony of reparation and Consecration of Russia. Pope John Paul II simply renewed the consecration of the world executed by Pius XII on October 31, 1942. From this consecration we can expect some benefits, but not the conversion of Russia. Man makes plans, and God laughs. I'm not convinced about all these locutions, and I think that they cause much fear and confusion. Confusion comes from the devil, not our Lord. Trust in our Lord's Church, receive the sacraments, and pray your rosaries. Perfect combination; in order to weather any storm! No locutions for the past 4 days! Must have run out of BS. Wait until NOTHING happens and I guarantee the locutions will start again. because it would have been more than we could handle. Then you will be certain it is all BS. Now the path has been chosen and the leader once more put into power, but not for long. I will strip him of his power and I will reduce him to a helpless and severely flawed leader. Many who supported him will walk away. Others will turn on him. I cannot allow someone who has so openly violated my commandments and taught others to do so to go unpunished. The punishment must take place for all to see because his sins and his sinful decisions have been seen by all. How can I roll back this massive darkness of evil? Only by coming against those who have brought it about. The election is over but the accountability to my justice is just beginning. I will begin quickly to reduce his popularity and power. Fairly vague, but almost 3 years after the election one would expect Pres. Obama to be simply a figurehead. He is more powerful than ever as witnessed by the executive orders and resounding victories in house and senate votes. They have lost power, not the president. Glenn I love your website and I think it is important you discuss what is happening in the prophetic world of today as well as the past mystics and prophecies etc. We are having a bit of a stock market crash here in Australia. see http://www.moneymorning.com.au/20150924/nobody-likes-a-stock-market-crash-but-this-is-why-we-need-one.html "And what’s more, it means the Australian share market is nearly 1,000 points below (984 points, to be precise) the recent high reached on 27 April this year. Call it what you like — a correction, a dip, or a pull-back. But we’ve only got one word for it. It’s simple. It’s a stock market crash..."
Rather concerned with the negative comments regarding the message of Father Gobbi. It shows a rather ignorant understanding of the difference between people's interpretation of prophecies (even the visionary or locutionists given them)and the actual prophecies. The problem had nothing to do with 1998 but with a message about 2000 which many interpret according to their own ideas about what the Triumph of Mary's Heart meant. If one read all the messages they would see that the Triumph was not a single event or year but a period of events over a number of years. The year 2000 was indeed one of these events of the Triumph with the Jubilee and the consecration of the Third Millennium to the Immaculate Heart by Pope John Paul II in October 2000- this in the spiritual sense was one of the greatest events of our time that will lead us to a great springtime of the Church in history in the third Millennium. “I will go to Mary. She is clothed with the sun. I will walk in her light. She has many tasks in her heart & she will give one to me. I have received an additional confirmation that in 2014 Mons. Essef asked to have his name removed from the Locutions to the World website, and that at that time he disassociated himself publicly from the locutionist. I have therefore amended the article to reflect this information. Well the truth is, if "Mary's" very specific prediction related in the article above does not occur by this Sunday Sept 27, then "Mary" would definitely NOT be the Virgin Mary Mother of God, but would be a Mary imposter and deceiver. Time will very soon tell. For the moment, I personally simply urge much caution, prudence and discernment towards these purported messages. I have a doctorate & have spent most of my life studying apparitions and traveled to most of them. I believe in Garabandal, Fatima & Mejugorje. This woman who claims to be a "locutionist" has "fraud" written all over her. 1. She made false precise predictions before. 2. The style of her prose is not in sync with other valid, and probably valid, apparitions. She claims Mary issued these awkward "Messages" in poor Enclish, using phrases that are only recently used in American English. 3. The Pope will leave the USA and nothing will have economically significantly have happened. good Catholics. We have plenty of bona fide messengers and don't need the distractions of this false "locutionist". The DJIA is up 200 points as of 11 AM and my portfolio has never looked better. Perhaps the crash will come after lunch? Or maybe the crash has already happened but it was a "spiritual" crash that only those with special 3-D vision and powers of discernment can see? Forgive the skepticism but I previously got suckered in my Garabandal, Fr. Gobbi, and more recently by Anne a Lay Apostle so I don't have the stomach for these anonymous visionaries who work independent of their Bishops. But of course the spin will be that God changed his timetable. 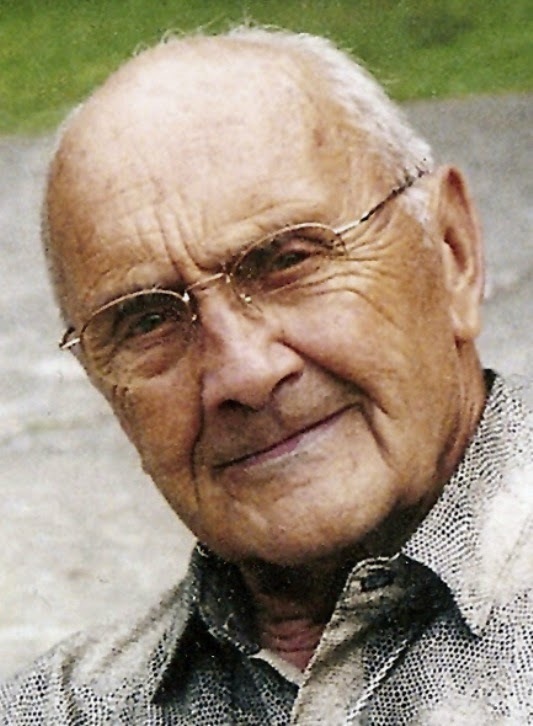 A few years ago I went to a healing service by a fellow by the name of Frank Kelly of Massachusetts. This was held at a Catholic Church. While we were waiting for Mr. Kelly's talk to begin, there was exposition of the Blessed Sacrament in the Church. During exposition there was chatter among some of the attendees about Padre Pio's miracles. It was as if one person was trying to outdo the other person with some story about bilocation or some mystical phenomenon of Padre Pio. And this talking was while we were all in Church in front of the Blessed Sacrament. Then someone took out their iphone and was showing people pictures of a host that had some shading that looked like a man's (Jesus') face. And all these women started getting excited and one woman was pleading if she could take this person's iphone to a local CVS to get a copy of the picture. I was sickened because here we were with the Blessed Sacrament (God Himself) exposed on the altar and all these woman wanted was to "one up" each other with mystical stories or mystical pictures. i'm not sure if these people think they are more pleasing to God if they're up on the latest mystic. If you say your rosary today and then spend two hours reading about all this mystical stuff, you only get "credit" with God for saying the rosary. You are no better for reading and chasing mystics than if you didn't. In fact, if you could have spend those two hours reading the Bible that would have been a source of grace. "Forgive the skepticism but I previously got suckered in my Garabandal, Fr. Gobbi, and more recently by Anne a Lay Apostle so I don't have the stomach for these anonymous visionaries who work independent of their Bishops." "..if this specific prophecy fails, it is a loss for the everyone because it only fosters more cynicism and opposition to the the authentic spirit of prophecy in the Church." The devil raises up false visionaries in an attempt to obscure the authentic ones, and in an effort to lead the faithful along false path's and blind alleys. Lourdes is a great example of this in that dozens of alleged visionaries seemingly came out of the woodwork soon after our Blessed Mother appeared to Bernadette. You need to be ready to endure a very, very long crisis. The suffering that is coming to this nation is beyond what most of us could even imagine. When will the “nothing is happening” crowd finally wake up?" ► "Hold on to your hats, my friends, it's about to get real.... because only God knows how bad it's gonna get." To anonymous above...The current blog post, and the reply thread, pertains to whether LTTW is a true locutionist or a fake. And part of that determination hinges on whether there's an economic collapse while the Pope is in the world's financial center (New York) such that the Pope will need to shift his message to deal with the changing economic situation. You keep putting up fearful links about the economy from questionable right-wing sources. I don't mean this in a negative way but I suspect you're a prepper which is why you were attracted to the LTTW messages. They are very political, right wing and fear provoking. I don't disagree that major economic problems or a crash is in the future. You don't need to be having locutions to know the market is in for a major correction. However this blog posting is whether LTTW is true or not. And since the markets close in less than 90 minutes and the DJIA is up 150 points at 2:30 PM, it appears that LTTW prediction is false. I have to admit, im starting to feel like a fool. I spent so much time over the last two weeks worrying about this and really thinking it was coming. This global collapse by the time the Pope left the US. Well here were are 1.5 hours until the market closes for the last time while he is on US soil and the markets are pretty calm. Not sure why I believed this, but I did. Lots of wasted hours or work. Lots of wasted hours not with the family. Lots of wasted hours here, I can only imagine what the cumulative loss of everyone reading it was. I love Mary with all my heart and Im apologize to her for allowing me to be suckered by a false message that I probably should have known was false. But the good news is, this fraud writer gave specific times so there was an end point to realize it was a false message. Jesus I trust in you, Jesus I trust in you, Jesus I trust in you. "It is not good to delay any more. Constantly the timetable has been pushed back." The Locutions.org site appears to be in a different layout/format than their previous new release. Interesting it is to find 5 new posts dated 9-20 to 9-25. As others have mentioned above, I too feel that these messages do not come from Heaven. It isn't hard to predict the stock market fluctuations and even a massive possible eventual crash - many economists have and are predicting the same thing. As also said, the CRASH prophecy/prediction has to happen today while the markets are still open - no way around it. What is truly bothersome to me is to read Mary supposedly mentioning - over and over again - "her power - powers." Yes, God has chosen The Blessed Mother to have a special role in salvation - but this just doesn't sound like her voice at all and the content doesn't ring true. Thanks for taking on this and shedding some light on it. At least when people do a search, this site will come up and hopefully be helpful to people who are attracted to the supposed messages. I forgot to mention (above) that the 5 newest posts were not there on the dates that they are currently labeled. And their Facebook Page has no mention of these newest 5. I may be nuts but they seemed to have REMOVED the LTTW posts that said the economic collapse would happen while Pope Francis is in the United States. I sort of blame Fr. Esseff. A lot of us believed LTTW because of his prior endorsement. 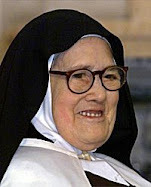 By way of example...in the early days of another supposed locutionist (Anne a Lay Apostle), Sr. Briege McKenna and Fr. Kevin Scanlon promoted her. However in 2011 they both publicly withdrew they support which is when I stopped following Anne. I think Fr. Esseff should have at least alerted people that he no longer had an affiliation with this woman. Mark, can see them here, not sure where you were looking. Seriously, though, now that her headline-making prophecy went bust, the diocese of Scranton should do a formal investigation and put an end to this. Well, we missed the big collapse that 'Mary' predicted. The person writing this garbage is a false prophet. This did not come from Mary and God has not given Mary any special powers. The Bible says that the only way to the Father is through Jesus. Period. What a clown show this was! Almost every single time that 'Mary' made a prediction over the past 4 years 'she' was wrong. She's blaming "evil schemers" for altering the timetable? And yet we all know the Virgin Mary has access for foreknowledge of EXACTLY what is going to happen, and when. Having said that, the close of stock markets in the U.S. doesn't necessarily mean this is finished. The Pope is still in the U.S., doesn't leave New York until Sunday. There have been reports of EBT/ATM problems -- if those go global for some financial reason, there may yet be something for the Pope to say on Sunday. A prophet has to be 100% accurate according to the Bible, or else they are a false prophet. They can't miss even 1% of the time. 'Mary' is several levels above a Biblical prophet since the Catholics claim that she is in Heaven. Many of the posts have the name of Jesus on them. Are we to believe that even Jesus doesn't get His predictions right most of the time? Watched market movements intently this afternoon and there was no collapse. Therefore locution messages lost the credibility completely. I feel sorry for the locutionist, the spiritual director, and all others who have helped to disseminate the messages. I was hoping that this is a true place to hear Our Mother and to obtain the guidance and protection we need to go through this difficult period time. I feel like I just lost light. We have our mother church but, because of the presence of people who are undermining the church from inside, we are not sure exactly whom we trust and follow. 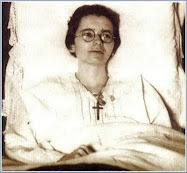 I remember in one of the messages to Father Gobbi, Blessed Mother said "trust against apparent evidence." Would that apply to this case? May God grant us a light and understanding and keep us in His fold! Still waiting for the Mary apologists to get in here and explain why anyone would continue to read this garbage. Come on apologists, try to muddy the waters on this and explain why a supposed deity would not know the future. Any why would there be NO locutions for 4 days and then suddenly those "lost" 4 days appear all at once? Francis K: Don't feel like you lost anything because this prediction went belly up. You have the Mass and the Eucharist. Stick with those and you won't be led astray. And stay far away from questionable prophecies. I wonder how many people even knew about this "locutionist" before you drew attention to her Glenn? Somehow reading the comments I don't think many did. Yet by advertising her you have played into Satan's hands by disillusioning people and as you say, leading the faithful down blind alleys. As someone above most wisely said people would have spent their time more usefully by praying or I would say helping the less fortunate. By irresponsibly writing about this individual you may well have been indirectly assisting Satan. He is very cunning after all. One comment above is very sad about how people wasted time here rather than spending time with their family and have been anxious. I'm sure you will argue that you were just informing, but not all information should be shared because it can damage people. Some people here and those beyond and in the Church generally would have been far better off if you had never made this irresponsible post. I prayerfully hope you do not have a defensive knee jerk reaction to this comment but will think and pray about your actions and ask God to forgive and guide you in future. You stated: "Any why would there be NO locutions for 4 days and then suddenly those "lost" 4 days appear all at once?" Actually that has always been the case. These messages have been released once or twice a week in "batches" of 4-6 messages. Presumably because the spiritual director of this "locutionist" who we all assumed was Fr. Esseff needed to give his approval. But now it's questionable as to whether Fr. Esseff is still involved. I disagree with the comments expressed above and think you did a great service by helping expose this. This whole process has been educative for all of us to make us understand the dangers of anonymous visionaries and locutionists. Heck, even locutionists such as Fr. Gobbi who are public can be wrong...how much more so should we be careful of those who publish messages without the blessing of their Ordinary. I received a lot of consolation from this website over the past week after seeing that others had the same doubts as I did. "I wonder how many people even knew about this "locutionist" before you drew attention to her Glenn?" I can answer that question since I work in IT, and the short answer is PLENTY. Just try the following experiment. Open your browser and go to Google. And in the Search box simply type in the token "Locut" and you will see that Google immediately and automatically fills in "Locutions to the World" as the top item in the drop down options. That tells me the LTTW website has been getting TENS OF THOUSANDS of hits, if not more, every day. More people have been hurt than consoled, that is plain from reading the above. Precious prayer and ministry time has been lost. Glenn Dellaire has been irresponsible. Hmm Glenn works in IT. Anyway, thousands of hits doesn't mean thousands of people, just visits to the website. They have probably increased since GD's article. 1. The interpretation by some people of a decision approved by Paul VI on October 14, 1966, and promulgated on November 15 of the same year, by virtue of which writings and messages coming from presumed revelations might be freely spread within the Church is absolutely not valid. This decision actually referred to the 'Abolition of the Index of Banned Books,' and said that - once relative censures were lifted - the moral obligation in any case not to spread or read those writings which endangered faith and morals still remained. 2. A reminder, therefore, that for the diffusion of texts of presumed private revelations, the norm of the Code in force, Canon 823, para 1, which gives pastors the right 'to demand that the writings of the faithful which touch faith or morals be submitted to their own judgment before publication', remains valid. 3. Presumed supernatural revelations and writings which regard them are in the first instance subject to the judgment of the diocesan bishop and, in particular cases, to that of the episcopal conference and the Congregation of the Doctrine of the Faith. It is a misconception that the faithful do not need permission to publish alleged private revelations since the abolition of Canon 1399 and 2318 of the former Canonical Code by Pope Paul VI in AAS 58 (1966) on October 14, 1966. The truth is that Pope Paul VI only abolished the Index Librorum Prohibitorum, and that Canon 823 and 824 of the current 1983 Code of Canon Law define the right and duty of the bishop to censor all material concerning faith or morals. The canonization of a mystic or an imprimatur given to a book of revelations do not mean a private revelation is authentic, because the church does not pronounce on alleged revelations when it pronounces on the holiness of an individual and because the Imprimatur only guarantees that a book is free from all doctrinal and moral errors. To anonymous above, if you've been "hurt rather than consoled" then I suggest you not read messages from supposed locutionists. We are all adults here and when we get curious about the future and seek answers from visionaries it is buyer beware. I found this thread helpful. And BTW, I am not Glenn but I do work in IT. And if you must know I work for Oracle. Go to church, recieve the sacraments, love God and your neighbor. All these doomsday websites have done one thing for sure; boom the profits of survival food and gear companies! Jesus even said; "they will say that I'm hear and over there, but you will know when the Son of Man descends from the clouds"
The major tipoff for me that LTTW was questionable is the locutionist is anonymous. Remember the recent Maria Divine Mercy fiasco? Until some much needed investigative work was done by Glenn, other bloggers and the Archdiocese of Dublin, no one knew who this woman was! She was able to operate in secrecy and silence. Same with this locutionist. The whole thing is way too hinky for it to be credible. Do not blame Glenn for mentioning the locutions. As Michael Brown (Spirit Daily) always says, we must discern. Each person must decide. I am very grateful for this platform which allows reading comments and discussion of the locutions, as I have found no other. Thank you, Glenn. This doesn't really make sense, even as a "false locution." If you are just making stuff up, then putting an EXACT date on something *this* specific (an economic event so dire that the Pope will be compelled to speak about it before he leaves the U.S.) is a sure way to turn people off to your website/cause/locutionist. So why do that? Why not simply stick with vague predictions of economic collapse "in the future," which we all expect anyway? However there is still time for Obama to fall, and the global economy to take a major hit. The U.S. stock market is not the sum total of the world economy. This writer is not very favorable in general towards "Anonymous" private revelations like this one because quite frankly there is no accountability to the person. Since they are anonymous, one cannot discern anything about their person or background, other than what is revealed in the purported messages. To me, when a alleged visionary or mystic identifies themselves and puts themselves and their reputation out there for all the world to discern, this at least initially lends some credibility to any private revelation. At least one can respect such a person for holding themselves publicly accountable for being the instrument of the private revelation, but with anonymous persons such is not the case, and this is why this writer is not at all favorable towards "anonymous" visionaries. And the recent scandalous fraud of the anonymous "Maria Divine Mercy" (aka Mary Carberry) very poignantly illustrates this fact, I believe." To the Anonymous who feels that this article is "irresponsible". Believe me, I understand well your concern--I really do. I ask that you please consider this though: A number of years ago I had a very painful experience through following a certain mystic. I will not go into the details, but suffice it to say I chose to be obedient to the Church. I know firsthand the pain and disillusionment that people can suffer in circumstances such as this. It can be heart rending. Yes, I know very well the feeling of disillusionment and of being letdown in this type of circumstance. As the host of this "Mystics" website, I believe that I am not only responsible for writing about mystics and visionaries who have passed from this life, but also that I should write about *certain specific matters* pertaining to living persons who are said to be mystics/visionaries/prophets, because for sure God raises up prophets in our day, just like He has from the very beginning. 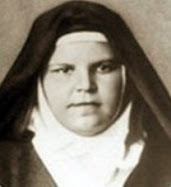 For example, when it was brought to my attention that the anonymous visionary "Maria Divine Mercy" was speaking against Pope Francis, saying he was a "false Pope", then I wrote a letter to her Bishop in Ireland respectfully and humbly asking him to please investigate her, and I encouraged others on this website to write to him also. Well, he must have received enough concerned letters from people that a few months later he publicly condemned her, thanks be to God. I understand that you personally are very skeptical about living visionaries/mystics, and you would prefer that I only write about deceased mystics whose reputations for sanctity are well established. Historical mystics and saints are very inspiring, and I do love writing about them (as evidenced with all of the articles on this website), but what about the matters concerning certain persons of today who are thought to be locutionists, visionaries or mystics? There are lots of people who are willing to hear such people out, in the hopes that perhaps they may really be authentic spokespersons for God. And a few are, but many are not. And I believe that I am called to help people discern, one way or the other. I DO NOT discern for them; I try to give them the information to discern for themselves. Such, I believe, is part of my mission here as host of this website. When you are Dora the Explorer, you explore. Its what she does. When you are a host of a Mystics of the Church website, you write about mystics and visionaries and all that pertains to them. Its what I do. (I hope you have seen some of these commercials, so you will get this little lighthearted pun). In the end I suppose we will have to agree to disagree on my reporting of matters such as these. By filing a report such as this a few days before a prediction is supposed to take place, I doubt very highly that anyone was misled through my report here. If anything, this report red flag, and I suspect that down the road this report will serve as a grave warning and reminder. But, as I have said, I personally have traveled down the blind alleys and dead ends of a couple of false visionaries, so I know the disillusionment that some here may soon be suffering due to these circumstances, so my heart and prayers go out to them. If this woman deliberately set out to deceive and wanted to prolong the deception for as long as possible, I would agree it's hard to believe a very precise date and prophecy would be given. However it's possible this woman may have psychological problems. If that's the case, I wouldn't expect the voices she hears to tell her stuff today that's necessarily aligned with the stuff she heard yesterday. What convinced me that this is not our Blessed Mother speaking is we already know how Mary speaks. The following are the ACTUAL WORDS of our Blessed Mother taken from Luke 1:46-55. Do we really think the woman speaking in LTTW is the same woman who uttered the following? I would not have given this a second thought if it was not for Monsignor Esseff. His credentials made everyone believe..Exorcist, Mother Teresa, Padre Pio, and he even gave our Diocesan Priest retreat a few months ago and was quoted by 2 of our parish priests. Ah, Yes; Lucifer was the most beautiful of Angels in heaven before he rebelled against God and tossed out. Now he comes as a beautiful light here on earth; fooling legions of humanity! Stay close to our Blessed Mother by praying your Rosaries. She will never, ever, fail us. Let us also be careful how we treat one of Gods Shepherds. Monsignor Esseff is a wonderful soul and needs all of our prayers. Satan will use these unfortunate circumstances to cause confusion, hatred, and loves when priests are attacked. Divide and conquer is what he knows and does best! Priests are very dear to our Blessed Mother. Without priests, who would consecrate our Precious Lord? It would seem at this stage that these locutions are not really locutions at all and many of us including myself did not know that Monsignor Esseff had stopped supporting them until we read it here. Thanks you Glenn. However we do not need to become fanatical or vicious against this person (how do we know it is a she? )as they may have been sincere but confused their prayer insights and thoughts with inner locutions much like John Leary did. Like many I gave these messages the benefit of the doubt due to Esseff's involvement and that they were not heretical etc eventhough there were certain things about them that certainly raised question marks in my mind. If before the Pope leaves America there is some kind of economic collapse (I think it unlikely) then I will keep an open mind. If not I will pray for the supposed locutionist and for all who have been following them. Here in Australia this week we had a major fall in the markets and it would seem some kind of collapse is indeed on the way. To be honest I am relieved there has't been a major collapse yet as it gives us more time to prepare spiritually for the coming days. I am also disgusted about the nasty and rather vicious comments against Glenn which is not appropriate for a Catholic especially from anonymous posters. If we have vested to much faith and energy in these locutions that they are causing bitterness in us now then maybe we should learn to put our faith more firmly in Jesus and his Church not in private revelations no matter how true they seem to us. Someone on another site made an excellent point about worry about these locutions distracting people from Francis' historic visit and messages to our country. If these locutions are from Satan or his cohorts, then he did what he set out to do. Especially since his primary responsiblity is for the spiritual direction for the locutionist's soul, ensuring their truthfulness, obedience and sincerity in their dealings with him. For reasons only known to God, He can never be 100% certain that everything presented to him by an individual is the total truth. Unless he were gifted by the Spirit like Saint Pio - but, even then, St Pio faced many instances of demonic appearances - once, taking the form of one of his spiritual directors / fellow capuchins. He himself had to struggle to discern the Truth on many occasions. I would also assume that this individual/locutionist remains anonymous to ensure that they can remain faithful to their primary vocation in life. The Lord perhaps knows if they had been in the spotlight, their own personality / makeup would have not been conducive and beneficial to them reaching the state of sanctity in their life asked of them by Our Lord. It may have satisfied the curiosity of many others who wanted to know/meet them, but that individual's eternal salvation may have been adversely affected. Let us pray for Monsignor Esseff, for the locutionist, for everyone involved, so that Our Lady, whom I believe in our hearts we all believe to be "the Woman" Clothed with the Sun, will bring forth, through this delicate experience, that Fruit which God most desires for us to receive, that Fruit Who is Jesus; Our Way to be followed, Our Truth to be believed, and Our Life to be lived. And let us not, in thought, word or deed, give our true enemy, satan, any opportunities to steal our joy and divide us from our oneness in Christ. LET'S JUST SAY THERE IS A MAJOR TERROR ATTACK OR AN ATTACK OF SOME KIND. LET'S SAY "TERRORISTS" (ISLAMIC - WHY NOT?). THEY ATTACK & IT'S BAD ... LET'S SAY IT'S REAL BAD. MAYBE EVEN SUSTAINED - AS IN - SEVERAL ATTACKS DURING THE COURSE OF THE DAY/S. THIS COMPELS THE U.S. SECRET SERVICE & SWISS GUARD TO IMMEDIATELY PROTECT THE POPE & OTHER VIP'S HERE IN THE U.S. - LET'S SAY - CAMP DAVID OR SOME OTHER HEAVILY PROTECTED/FORTIFIED LOCATION - LET'S JUST CONSIDER THE POSSIBILITY. I MEAN - TO BE FAIR - IT IS POSSIBLE. ISIS CLAIMS SOME 70+ MILITANTS RIGHT HERE IN THE U.S. FOR IMMEDIATE USE ... FOR TERROR I ASSUME - WHY ELSE? STAYING ON TRACK - THIS MAY POSTPONE A DEPARTURE FROM THE U.S. - VERY REAL POSSIBILITY. UNTIL WHEN? NO IDEA & FRANKLY, IT'S A BIT IRRELEVANT TO THE POINT. THE POINT BEING THIS: A MAJOR TERROR ATTACK IS A POSSIBILITY & IT DID SAY "LATE" DURING HIS VISIT HERE. PHILADELPHIA WOULD BE LATE IN HIS VISIT FOR SURE & A MAJOR TERROR ATTACK WILL AFFECT THE WORLD MARKETS - QUITE ADVERSELY. A DELAY IN THE POPE'S DEPARTURE IS JUST AS LIKELY - DEPENDING ON THE SCENARIO. THE 2008 MARKET CRASH HAPPENED ON THE FEAST OF THE ARCHANGELS - SEPT. 29TH. FAST FORWARD TO THIS TUESDAY - SEPT 29TH 2015. IN THE AFTERMATH OF MAJOR TERROR ATTACKS IN PHILADELPHIA - THE POPE IS IN CAMP DAVID & THE MARKETS ARE IN ABSOLUTE TURMOIL - MONDAY MORNING. BY TUESDAY - MARKET TAILSPIN & THE REST WILL SOON BE HISTORY. I DON'T CARE EITHER WAY WHAT HAPPENS - I KNOW THE TRIUMPH OF THE IMMACULATE HEART IS NEAR. INSTEAD OF THINKING OF THESE THINGS - BECAUSE WHAT WILL COME WILL COME - I'M CERTAIN. TAKE A MOMENT TO CONSIDER THE LIFE OF ST. MAXIMILIAN KOLBE. CONSECRATE "YOURSELF" TO THE IMMACULATE VIRGIN & DON'T COWER WHEN THE TIME COMES TO STAND BY YOUR PRINCIPLES. IF IT ALL CONTINUES - THEN IT ALL CONTINUED - BUT YOU WOULD BE DELUSIONAL TO THINK THAT CURRENT GLOBAL EVENTS ARE LEADING ANYWHERE OTHER THAN RUIN. BUT DON'T FEAR TOO MUCH - BECAUSE OUR HEAVENLY MOTHER WILL RESCUE US WHEN IT ALL SEEMS LOST. I'D SAY YOU CAN TAKE THAT TO THE BANK, BUT ... WE ALL KNOW ABOUT THE BANKS; RIGHT, PEOPLE? PLEASE!!!! READ THIS. . . . The Church will walk only on heaven’s road because no other road will lead to my Immaculate Heart. In this heart, I hold the whole world with all its history, the whole Church, with all its saints and the King of Kings Himself. So now Mary is superior to God!?? PA 1st BDE . . . . you are kidding, right? Only a chump would stretch it that far. Besides, the locutions say that the financial collapse will happen when the Pope is at the financial center of the world (New York). It doesn't say it will happen when he is in Philly. And to the misinformed who said Then don't ask your family to pray for you. I say, my family can and should pray for me. But when they pray for me they should be praying to JESUS, not Mary. Our God is a jealous God and He doesn't want us praying to idols or false gods. No, She is not. 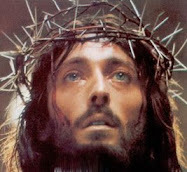 But I hope you don't adore the Blood of Jesus, since He received It all from His Mother. What parts of Jesus' Blood do you adore? The Blood He received from Mary before His Birth or The Blood He made on His own after He was born? While I and others sincerely appreciate the comments, can everyone please stay on topic of this article for the sake of all the readers? Thank you in advance! ANONYMOUS - IF YOU READ THE PROPHECY CAREFULLY - YOU'LL SEE IT SAID WHEN THE POPE IS IN AMERICA - THE FINANCIAL CENTER OF THE WORLD. IT NEVER SAID WALL STREET OR NEW YORK. AMERICA IS THE FINANCIAL CENTER OF THE WORLD. DO YOU UNDERSTAND THAT? I NEVER SAID I BELIEVED IT - I WAS PUTTING AN IDEA OUT THERE - THE IDEA THAT THERE IS STILL POSSIBILITY. I DON'T WANT TO BE TOO QUICK TO JUDGE. PHILADELPHIA IS AMERICA TOO - KIND OF LIKE NEW YORK. PRAY FOR EVERYONE - IT'S OK - AS FOR THE BLESSED MOTHER - ONLY A FOOL WOULD THINK A SON WOULDN'T HAVE HIS MOTHER HONORED. I MEAN - AGAIN - TO BE FAIR - SHE WAS THE MOTHER OF GOD & THE SPOUSE OF GOD ALL AT THE SAME TIME - THAT'S GIVEN YOU BELIEVE IN A TRIUNE GOD. HONESTLY, YOU'LL FIGURE IT ALL OUT LATER WHEN SHE MAKES THINGS MUCH MORE CLEAR FOR EVERYONE. IT'LL BE EASIER - YOU'RE ALREADY CHRISTIAN. I FORGIVE YOUR RASHNESS AND STRANGE CONCLUSIONS ABOUT THE MORE OBVIOUS THINGS ... IT'S OK.
KEEPING ON TOPIC THOUGH - AMERICA IS THE FINANCIAL CENTER OF THE WORLD ... SEE THAT? READ THAT AGAIN OK? READ A BIT SLOWER & MORE CAREFULLY - YOU'LL SEE IT MORE CLEARLY. TOO QUICK - THAT'S A PROBLEM WITH A LOT OF PEOPLE. MOTHER OF CHRIST - SPOUSE OF THE HOLY SPIRIT - THEN THERE'S GOD THE FATHER. I DON'T "GET" THE MYSTERIES OF THE UNIVERSE SO WELL ... DON'T CARE TO DEBATE IT MUCH EITHER - SWALLOW IT ON FAITH - IF I CHOKE - THAT'S ON ME. YOU GO AHEAD & WORK ON YOU. I FEEL YOU GOT A BIT OF WORK TO DO TOO - WE ALL DO. JUST READ THE PROPHECY MORE CLEARLY - THAT'S ALL I'M ASKING. I DON'T CARE ABOUT YOUR OPINION, BUT IF YOU'RE GOING TO GET ALL WISE CRACK ABOUT IT - THEN - HELL CALLS HELL; RIGHT? I NEVER SAID I WAS A GOOD CATHOLIC. I'M WORKING ON THAT - FAILING UTTERLY TO BE SURE. THAT SAID - IF YOU'RE GOING TO POKE AT ME LIKE I'M SOME CHUMP - AT LEAST COME CORRECT, CHAMP. YOU DON'T HAVE TO CONSIDER WHAT I'M SUGGESTING IS POSSIBLE. BUT DON'T CHASTISE ME FOR PUTTING OUT A PERFECTLY PLAUSIBLE FOUNDATION SCENARIO BASED ON THE WORDS (INTERPRETED CORRECTLY) OF THE PROPHECY. I THINK YOU'RE DISGRUNTLED. STOP IT - IT MAKES YOU LOOK STUPID. I'M PRETTY CERTAIN EVERYTHING IS GOING TO KEEP ON GOING, GUY. AT LEAST FOR A BIT YET. GO ATTACK SOMEBODY ELSE - I WAS JUST THROWING AN IDEA OUT THERE ... TO BE FAIR. TO BE OBJECTIVE - IMPARTIAL - YOU KNOW? PLAY THE DEVIL'S ADVOCATE A BIT. BUT WHO KNOWS? MAYBE IT WILL HAPPEN ... DID YOU WAKE UP SEPT. 11, 2001 KNOWING THAT IT WAS GOING TO BE JUST ANOTHER NORMAL DAY? IN THE FUTURE - I WON'T RESPOND TO ANYTHING BUT THE TOPIC AT HAND. IN THIS CASE - THE PROPHECY. SO FAR AS I'M CONCERNED - FOR THE RECORD - UNTIL SOMETHING IS TERMINALLY FINISHED - IT ISN'T TERMINALLY FINISHED. THE BATTLEFIELDS ARE STREWN WITH THE DEAD BODIES OF MEN WHO THOUGHT IT SAFE TO REST. I WAS TRAINED TO BE VIGILANT - YOU GO REST, CHUMP. IF IT PASSES - THEN IT PASSED. I'LL STILL BE VIGILANT - YOU'LL STILL BE A FOOLISH RESTING CHUMP. 9 When you enter the land the Lord your God is giving you, do not learn to imitate the detestable ways of the nations there. 10 Let no one be found among you who sacrifices their son or daughter in the fire, who practices divination or sorcery, interprets omens, engages in witchcraft, 11 or casts spells, or who is a medium or spiritist or who consults the dead. 12 Anyone who does these things is detestable to the Lord; because of these same detestable practices the Lord your God will drive out those nations before you. 13 You must be blameless before the Lord your God. The comment by PA 1ST BDE AO2 is troubling. I hope it doesn't come to fulfilment. It's better like that than to have LTTW be confirmed as authentic. 23 Sept 2015 - Whose moment is this? This is too tempting for Satan. He, foolishly, moves up his timetable, when really he should wait a while longer. "...really he should wait longer". Since when was Mother Mary in the business of advising satan? I HOPE IT DOESN'T COME TO ANY OF THIS. I HAVE A WIFE & 2 BOYS. I WANT A FUTURE OF PEACE, BUT ... I DON'T KNOW ANYMORE. I JUST CAN'T MISS THE WRITINGS ON THE WALL AT THIS POINT. THERE IS NO IMMEDIATE HOPE FOR PEACE - WE ALL JUST HAVE TO COME TO TERMS WITH THAT. MY HONEST OPINION IS THAT THESE ARE EXTREMELY INSIGHTFUL, SEEMINGLY PROPHETIC, SPECULATIONS ABOUT WORLD EVENTS FROM A PERSON WITH A SELFISH AGENDA. I THINK THE PRIEST REALIZED THIS & ABANDONED THIS "MYSTIC"
MY POINT IS THAT THESE ARE VERY INSIGHTFUL SPECULATIONS. STIFF CONSERVATIVES WILL MOVE INTO THE VACUUM - THIS MAY FACILITATE A GOVT SHUTDOWN ON OCT. 1ST, 2015 - THE MARKETS HAVE ALREADY SPOKEN - 3 MO. TREASURIES CLIMB - THIS IS INDICATIVE OF "THE MARKETS" FEARING A GOVT SHUTDOWN (9/25). I THINK RAISING THE BUDGET WILL BE A GREATER CONCERN - LATER. FEDERAL RESERVE CHAIRWOMAN (YELLEN) LITERALLY CHOKED ON HER WORDS WHEN DISCUSSING FED MONETARY POLICY. IT WAS IF SHE WAS GOING TO COLLAPSE. SHE HAD MEDICAL ATTN. AT THE END OF THE MEETING. STRANGE ... LIKE AN OMEN (9/24). I MEAN ... SERIOUSLY? NOBODY CONSIDERED THE POSSIBILITY OF A TERRORIST ATTACK & WHAT THAT COULD TRIGGER? WHY DO YOU THINK PHILADELPHIA IS, LITERALLY, ON LOCK DOWN RIGHT NOW? NOBODY CAN EVEN GET OUT OF THE CITY. IT'S THE HIGHEST SECURITY EVENT, POSSIBLY, IN U.S. HISTORY. IT IS TROUBLING ... IS THIS MYSTIC REAL OR FALSE & IF FALSE - HOW LONG DO WE HAVE ANYWAY? WHAT IS POSSIBLE AT THIS POINT? THAT'S ALL I'M LOOKING AT ... WHAT IS POSSIBLE? I HEARD THAT FR. GABRIELE AMORTH - ROME'S CHIEF EXORCIST (IN GOOD STANDING WITH THE CATHOLIC CHURCH) SAID THAT AFTER OCTOBER 2015 THE DARKER PROPHECIES OF FATIMA WILL BEGIN. I I CAN'T POSITIVELY CONFIRM & NOT EXACTLY SURE WHAT HE MEANT. IF TRUE - WE CERTAINLY DO NOT HAVE LONG. I APOLOGIZE FOR ANY FEAR I CAUSED - I WAS SIMPLY STATING THAT, SO FAR AS I'M CONCERNED, A THING ISN'T OVER UNTIL IT IS COMPLETELY OVER. WHERE WE ARE AT, IN THIS "ALLEGED" MARIAN PROPHECY, IS THE END OF HIS (POPE) VISIT TO AMERICA - THE FINANCIAL CENTER OF THE WORLD. IF I SEEMED A BIT ABRASIVE - I APOLOGIZE FOR THAT TOO. I WAS ANNOYED BY EVERYONE ACTING LIKE IT'S ALL OVER & THERE'S NOTHING TO SEE - THEN BEING CRITICIZED FOR SEEING OBVIOUS POSSIBLE AVENUES FOR THIS PROPHECY'S FULFILLMENT. I HONESTLY THINK THE POPE WILL RETURN TO ROME SUNDAY AS PLANNED, BUT FOR THE SAKE OF ARGUMENT ... THINGS AREN'T OVER UNTIL THEY'RE OVER. ONLY FOOLS ACT LIKE THAT. MY EXPERIENCES HAVE TAUGHT ME TO NEVER LET MY GUARD DOWN. A THREAT IS CREDIBLE OR NOT CREDIBLE BASED ON FACTS & IF ALL THE FACTS AREN'T IN - THEN HOW CAN THIS DECISION THAT "MOVE ALONG - THERE'S NOTHING TO SEE HERE" BE MADE? ALWAYS STAY VIGILANT. I guess this prophecy has also not come true!! In general,man begins to search for and desire sensational news because he is not satisfied with his own personal, professional and apostolic life. Such news gives man the false hope that his ordinary and not so successful life will come to an end or will undergo some change. Instead of focusing on these unapproved prophecies/messages it would be good to sanctify and improve ones own ordinary life - personal, professional and apostolic and by doing so we will be glorifying God and saving many souls. The routine desk job, the daily household chores, the monotonous commute to the office etc..when done with Love[for God] can sanctify us and make us holy and thus prepare us for our meeting with the Lord. In these times of confusion let us focus on the teachings of the Saints, the Fathers of the Church and the Magisterium of the Holy Catholic Church. Thank you for the wonderful blog "Mystics of the Church".Its very enriching and edifying. I appreciate your comments, A02, it is food for thought! At the risk of beating a dead horse...a number of posts up someone said that Fr. Esseff was still in support of these messages however the reason he took his name down from the LTTW website was he was receiving too many inquiries and phone calls. Think about how silly that is. Here we have Fr. Esseff who is the spiritual director to this locutionist who claims to be receiving critical messages from the Blessed Mother and Jesus Himself, and Fr. Esseff removes his name from the website simply because his email Inbox is overloaded with questions? All of these prophets are charlatans. All of them. Only God knows the future. Not Mary, not satan. If God speaks to someone about a future event then it happens 100% of the time. No exceptions. That is how the Bible tells us to test a prophet. Similar to Bharat (above) I used to focus a lot on prophesies. I was also very interested in Revelations and all it speaks about. I soon realized this is unfruitful and put my focus back on my life, my relationship with Jesus, my relationships with family and friends,and how I could make a difference in the lives of others. God wants me making an impact on my world instead of trying to divine the future. For the record and in defense of Monsignor Essef, I do have confirmation from two different sources that Monsignor had disassociated himself from this locutionist last year (2014). 1 One of the seven angels who had the seven bowls came and said to me, "Come, I will show you the punishment of the great prostitute, who sits by many waters. 3 Then the angel carried me away in the Spirit into a wilderness. There I saw a woman sitting on a scarlet beast that was covered with blasphemous names and had seven heads and ten horns. 6 I saw that the woman was drunk with the blood of God's holy people, the blood of those who bore testimony to Jesus. When I saw her, I was greatly astonished. 9 This calls for a mind with wisdom. The seven heads are seven hills on which the woman sits. 15 Then the angel said to me, "The waters you saw, where the prostitute sits, are peoples, multitudes, nations and languages. 18 The woman you saw is the great city that rules over the kings of the earth." On Monday, would everyone please consider contacting Bishop Joseph Bambera. He's the Bishop of Scranton where these Locutions are reportedly taking place. 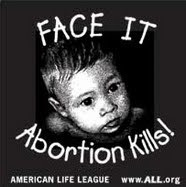 Bishop Bambera's office number is (570) 344-7231. Now if you're nervous about calling a Bishop, please don't be. If you call the above number you will either get the Bishop's secretary or his secretary's voice mail. So you can just tell the secretary that you would like to leave a message for Bishop Bambara. You don't need to identify yourself other than you're a Catholic layperson. 1. There's an anonymous woman in the Diocese of Scranton who is posting messages allegedly from the Blessed Mother on the website: www.locutions.org. 2. Fr. John Esseff of the Diocese of Scranton is reported to either having been, or may be still currently, this woman's spiritual director. 3. The messages this woman claims to have received are not only posted on the www.locutions.org website, but they have been compiled into Volumes. These Volumes listed on Amazon.com and these Volumes identify Fr. John Esseff as the Editor. 4. Given that these alleged locutions are occurring in the Diocese of Scranton and have a past or even possibly present affiliation with a priest of the Diocese of Scanton, would Bishop Bambera kindly investigate this matter and issue a statement as to whether these messages contradict the teachings of the Catholic faith. If several dozens of us leave a message for Bishop Bambera on Monday he will hopefully initiate an investigation. These messages, like so many given by the Ascended Masters (who imitate Jesus, Mary, Gabriel, Michael, Saints & others), have proven to be false. I do not think the person receiving these messages is lying about them; its a real phenomenon but the source is FALSE. There are many MANY visionaries who have had the same thing happen. This 'messenger' bet the rent and has proven they are NOT from God. The challenging question then is: will the person receiving these messages FINALLY do a deliverance prayer, renounce the false visions, banish the demon delivering them or, like so many others, continue on the path of receiving and transmitting them? The world and people in the church are confused enough already. The false ones muck up everything for the genuine ones. Excellent suggestion David. The Most Reverend Joseph Bambera, Bishop of Scranton, PA may be contacted by email at: Bishops-Office@dioceseofscranton.org. I copied your four points and emailed them to Bishop Bambera at this address. To anonymous above on the test of a prophet...you misquote Scripture. Deuteronomy 18:22 says that "...when a prophet speaks in the name of the Lord, if the word does not come to pass or come true, that is a word which the Lord has not spoken; the prophet has spoken it presumptuously..."
It does not say he is a false prophet, but that in a particular case he has spoken without leave. That is an entirely different thing. By your standard, almost all prophets (maybe all) would have to dismissed. Old Testament prophets were often wrong on the times of various events. St. Joan of Arc was often wrong, but was startlingly right on completely unpredictable things. This woman may well be in error. But your test for whether a prophet is genuine is nonsense unsupported by Scripture. Thanks for that information, David. 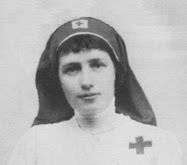 I've contacted a couple of other dioceses about hinky seers, and they were very grateful to receive the information. Well, I have a source as well. People have mentioned that Msgr Esseff has "publicly" disassociated himself from the locutionist. That is different from saying that he has stopped supporting her privately which I am told he has not. The problem with the public mention of Msgr's name with the locutions has resulted in another blogger making all kinds of erroneous claims about him....even stating that he is actually the locutionist. Msgr has had to get a lawyer to have those errors removed. That situation is ongoing I believe. Others have tried to say he is actually suing locutions.org. That is patently wrong. My source says that Msgr still supports the locutionist. After all, he has known her and been her spiritual director for years prior to 2010 when the alleged locutions were to go public.....but only after the locutionist received his permission for this. Has anyone received evidence that he has told anyone that he no longer trusts her? I am told that she is now a nun, a very holy woman. And if Msgr Esseff has no longer given permission for these to go public then since the locutionist was obedient in the first place to pass them through Msgr has she suddenly taken it only upon herself to continue the public release if he is now requesting her not to.....after all these years??? 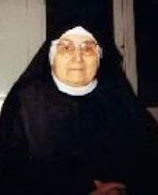 Also, by the introduction of these locutions with the background given about the locutionist, her spiritual director, her history of receiving locutions for private release only....within a prayer group under his guidance.....I wouldn't exactly place her in a category of being totally "anonymous". That privacy seems to be allowed by Msgr....esp. if she is in a convent. So we'll see what happens. 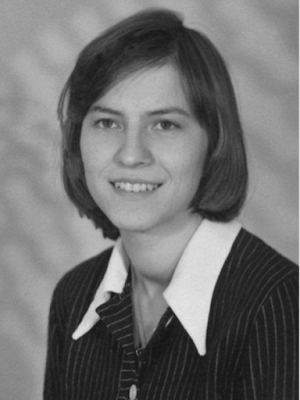 But broad, secondhand sources (mine included), will have to be weighed on the facts taking place in reality rather than just rumors that don't seem to match the history that Msgr has with this woman. Again, there is a specific situation that would currently influence his decision to have his name now disconnected "publicly"....esp. when his history with Mother Theresa was also included and he is respecting her ongoing cause so as not to confuse any errors about him within a private revelation also being somehow connected to his history with her. You said: "People have mentioned that Msgr Esseff has "publicly" disassociated himself from the locutionist." I'm not sure anyone said that. If so, where and when did Fr. Esseff publicly disassociate himself? Yes, he had his name removed from the website but he's still the Editor of the Volumes. You mention Fr. Esseff may be suing locutions.org but where's the evidence. And who told you the locutionist may be a nun? Finally you suggest that Fr. 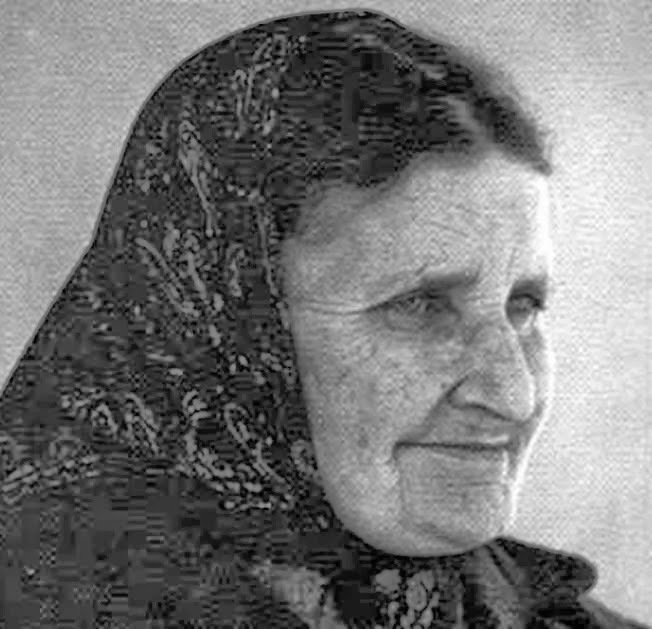 Esseff has withdrew his support so as to not interfere with Mother Thersea's canonization? Do we really think the Blessed Mother would weave such a tangled web of confusion to navigate through? This whole thing sounds like a freaking soap opera. I NEVER stated that Msgr Esseff was suing locutions.org. Go back and reread since I said just the opposite. Sheesh! It has been stated by many persons over the net erroneously...that he's suing locutions.org.....which was even via a caller on the weekly program that discusses often the latest LTTW on Weds. My source is close to many who know Msgr Esseff. As I said...judge such sources offered by myself and others here about the facts of the history of this relationship between the alleged locutionist and her spiritual director. The fact that Msgr has had to get a lawyer to stop the errors coming from a particular blog is a fact....that is why people started the rumor about that lawyer being involved against locutions.org. As so many facts are being distorted believe what you wish...even the errors if that suits you. I'm not sure anyone said that. I have received an additional confirmation that in 2014 Mons. Essef asked to have his name removed from the Locutions to the World website, and that at that time he disassociated himself publicly from the locutionist. I agree with Glen on this one. This locutionist doesn't just have the one daily message that Glen shared on his site that seems final and absolute, but 10 or 12 leading up to this date, all of which are over the top specific about the "event" devastating the economy while the Pope is here. There is no other way to read this. There was no "if man doesn't return to God," or "if people don't repent," at all. It was specific and absolute, as the language posted on the website has multiple quotes of concrete finality from Mary. No ifs, ands, or buts. I followed Nancy Fowler of Conyers. Her prophecies never came true either. Yes, I can tell you definitively that something very real was happening at "the farm" as I witnessed it several times, and had my own very real supernatural event. So where does that leave me? As a precaution, this weekend I filled my gas tank and bought a six pack of Klondike bars. God bless you all ! No I said he does not associate his name publicly now due to his response to the errors being printed about him on another blog....stating even that he himself is the locutionist....and having to get a lawyer involved to do that. The history of the locutions must be kept pure. It is those errors inserted into a reference blog about this private revelation that he does not wish to be associated with his history mentioned previously with Mother Theresa....esp. while her cause is being studied. I DID NOT say that he has withdrawn his "support".....which is not true as far as I know. Just curious, does anyone know of a non-church-approved Catholic prophecy actually being fulfilled? There are so many apparitions, dripping statues, locutions happening at this time that it seems like somebody would hit the lotto just by sheer odds. I think Michael Brown said that the lady from South America ( forget her name, but now deceased ) got 9/11 right. I answered the questions raised about the info I had given in a comment and which was distorted by a following commenter. I saw it printed and now it is gone. Glenn, I think I have a right to correct distortions made about the info I offered previously when a follow up commenter was in error about what I said. I did see it printed so what made it disappear? I went to a lot of trouble correcting with actual quotes. That anonymous commenter was permitted to stay on with distortions uncorrected. If so, where and when did Fr. Esseff publicly disassociate himself? Yes, he had his name removed from the website but he's still the Editor of the Volumes. (answered above). You mention Fr. Esseff may be suing locutions.org but where's the evidence. I NEVER said that Msgr Esseff was or may be suing locutions.org. Please go back and reread my info given. That was erroneous information given by others in other places on the net. 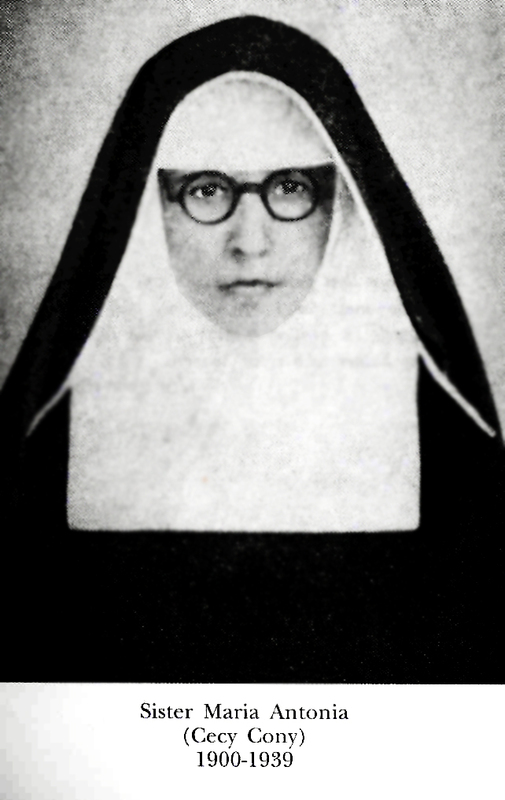 And who told you the locutionist may be a nun? My own source who is familiar with those who know Msgr Esseff. Finally you suggest that Fr. 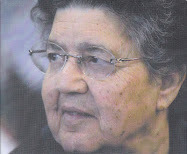 Esseff has withdrew his support so as to not interfere with Mother Thersea's canonization? Again, I NEVER said that Msgr Esseff has withdrawn his support. Please reread the explanation. It is not the Blessed Mother who created any tangled web....it's, once again....humans who have done so themselves with spreading incorrect information. And we know who is the father of such distortions and why! Hopefully this attempt to defend my words will be permitted. Otherwise that anonymous who did not quote properly my words should also be removed. My sincere apologies: I allow ALL comments to be published, and I never delete any comments, unless they contain foul language or are inappropriate. Because one commenter said that her comments had not been posted, I just went into the "spam" comment folder and found that two comments had inadvertently automatically been directed there. I just released them so they are now published. I am sincerely sorry to the commenter(s) who posted them. This is interesting. I personally stopped reading Locutions to the World because I found a lot of the words to be off base, plus it was becoming an odd/curious fascination that did not help me grow in holiness or lead me to peace. At any rate, today is the 26th; our Holy Father leaves tomorrow, which is the 27th. How would an economic collapse happen suddenly on a Sunday, when the world financial markets are not open, and how would Pope Francis suddenly begin speaking about it and change his agenda while he's in the USA? Perhaps a natural disaster or something unfathomed will still happen, though I hope and pray not. It seems that this already has not come to pass, thanks be to God. We are about to enter the Year of Mercy; let us busy ourselves with prayer and acts of mercy. While there is time, let us do good. these locutions claim that Russia was not consecrated to Mary....that is a huge red flag as anyone can see Russia is moving towards Jesus and Mary since the consecration. If you pull your head out and look around it is plain to see that the locutions were all a big scam. A lot of you are heavily invested in the locutions and are having a hard time coming to grips with the fact that you were fooled. Get over it. Move on. These locutions were shown to be false this week as the prediction that there would be a collapse of the whole economy didn't happen. Here's my take on this. The so called seer has been doing these messages daily for years, but still only has a few thousand followers. There was a gamble in predicting a future event when the pope was in the US that there would be a financial crisis. But there was a small possibility in getting it right, especially given that the federal reserve was due to make big decisions around that time. The payoff would have been getting millions of followers instantly. So sad. Remember Jesus warning about causing any of His little ones to lose faith. Using the Mother of God to win admiration and a loyal following... Well, it doesn't get much worse than that. But Mother Mary knows the sincerity of the hearts that received the messages with genuine faith. I just pray that nobody's faith be harmed in any way, and that we all learn, as the bible tells us to test the spirits before believing. Satan appears as an angel of light to deceive even the elect if that is possible. Testing the spirits means asking questions... lots of them. Not just about the messages, or the spiritual director. These are easily manipulated. Big questions need to be asked about the life of the person claiming to receive messages. Are there real signs that they are genuinely holy, serving others, humble. But even with this test we need to be careful because outward appearances of holiness can deceive. Jesus slammed the Pharisees for cleaning only the outside of the cup (appearing holy), but inwardly being spiritually dead and unclean. We need to be ruthless in testing the spirits because if something is not of God's spirit, we need to run a million miles away and warn others to do the same. Jesus stood His ground with any test, even with those who were testing Him from evil motives. I think we should be very suspect of anyone who offers dates for events... Jesus warned that he comes unexpectedly like a thief in the night. Thieves don't give any indication of when they will strike. There are many dates given in these messages. Also the anonymity of the so called seer is a bit of a giveaway that something isn't authentic. I am sure that others can see many other things within the actual messages that don't add up as well. A bit more research before blindly believing any prophet is absolutely essential. False prophets need to be exposed because they do so much damage in the name of God. The spirit of evil is greedy by nature. It wasn't content with just a few thousand followers... no, it wanted to deceive millions as it openly said in the messages. The problem is that evil doesn't know the future. Only God does. It can only guess with the best available indications on earth. When a true prophet speaks of a coming event, evil cannot hear it because it is holy knowledge and words. Thank God the collapse didn't happen because if there was something even remotely like a financial crisis, evil would have lured millions of people to these deceptions. I am sure that Mother Mary is involved in snaring evil in it's own wickedness... she can't bear to see any sincere soul being deceived like this. I fear that the page of the messages will be shut down because of the truth being exposed and the website will carry on luring innocent souls. We must also know that just because a prophet gets something right, that doesn't make them a true prophet... evil can guess coming events with a fair degree of accuracy. There are hundreds of tests that must be applied to see if a prophet is false, or from God. The local bishop condemned Holy Love in Ohio and warned Catholics against that "ecumenical" ministry. Maybe you are right. My take, to further yours, is that this locutionist "piled onto" the other big thing currently, the Jonathan Cahn Shemitah thing, in which he was calling for the meltdown right now also, during some kind of seven year recurring thing. His Shemitah stuff gained momentum recently. He actuallyt posted regarding this, and stated that, well, the market did sort of meltdown, etc. Sometimes if enough people (in this case, stock traders) all pile in with their finger on the sell trigger, it becomes a self-fulfilling prophecy as the domino effect sets in. I also notice that the locutionist web site hasn't posted a daily message for a few days. People are asking "so what" if this locution about the economic collapse occurs? These messages are delivered to a man who is in his 50s in Perryville, Missouri, named Neal Gremaud, not a woman. This economic collapse message has simply torn our family apart. My elderly mother in St. Louis has been yanking her savings out of banks, purchasing dry goods and water tanks, and hoarding dry food in the basement all because of this. She has been sending this message to all who will listen (not many) and it's caused great turmoil and embarrassment within our own family. And no one is taking any responsibility for these false messages. It's quite clear the economy did not collapse while the Pope was in the USA, so therefore the message is false. Logic tells us, this "visionary" is not authentic and the messages are not divine because a message truly from heaven would not be completely false such as this one. And so, YES, there are some who care about whether false messages are disbursed because families are being torn apart by such nonsense. Steve, I feel you pain. I got caught up in devine messages that turned out to be false. It ruined my life. Sincerely. My savings is gone, and my family bore the brunt of my irrational decisions based on fale prophecies. I won't go into detail about the alleged messages I was following, but in the end, what does it matter. I handled my financial affairs as if the world was coming to an end, and thought everybody who simply went about living their life was an ignorant fool living apart from God. I have no one to blame but myself because, ultimately, many of the people who get innocently caught up in these messages ( in my opinion only ) are trying to devine the future ( which we are not supposed to do ) instead of living out their daily life as best they can for God and their neighbor. It is indeed a strange irony. Leaving this locutionist aside (for the moment) your mom is not necessarily wrong for preparing for an economic collapse. The whole thing is a house of cards ready to go anytime now. There are trillions in this fake economy, and many derivatives/counterparties who are all set to fall like dominoes. ► "a message truly from heaven would not be completely false"
May I suggest you contact Bishop Bambera of the diocese of Scranton with your story? I believe the local bishop has the duty to investigate the locutions, as the messages were disseminated-- at least at one time-- by a priest of his diocese, Msgr. Esseff. Clearly there are people out there, a small number, who have made bad decisions based on the locutions, which drew their authority on the reputation of Msgr. Esseff. Maybe it won't help those who fell for locutions, but it may help others in the future if the Bishop acts in this instance. Cover-ups of any sort always make a situation worse. Finally, the Church has spoken authoritatively on Holy Love Ministries and its 83-acre site of Maranatha Spring and Shrine in Ohio. Despite all the usual Catholic trappings — chapel, statues, rosaries and religious bookstore, not to mention the throngs from across the country and globe — the purported visions by Maureen Sweeney-Kyle have been condemned. Bishop Richard Lennon, head of the Cleveland Catholic Diocese, has issued a decree to clergy and laity of the diocese that Holy Love Ministries of Lorain County is officially off limits. 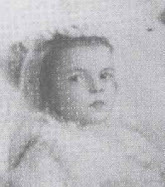 “Having been directed by the Holy See (in Rome) to act definitively in the matter of the alleged apparitions … and having reviewed the theological content of the alleged apparitions to Maureen Sweeney-Kyle and having consulted an expert in this matter, I … declare that the alleged apparitions and locations … are not supernatural in origin.” Lennon’s decree states he “forbid members of the clergy of any ecclesiastical jurisdiction” to celebrate the sacraments on the site of Holy Love Ministries. 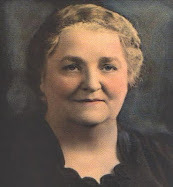 “I admonish the faithful of the Diocese of Cleveland to cease gathering for any religious, liturgical, spiritual or devotional purpose on the site of Holy Love Ministries and declare that the Confraternity of the United Hearts of Jesus and Mary is not an approved association of the Christian faithful in the Diocese of Cleveland and may not legitimately use the name “Catholic” or represent itself as a Catholic group,” Lennon said in his decree. I'm afraid the same attitude of ignoring evidence to the contrary may infect those who continue to support locutions tomorrow. Will they be parachuting in to threads on other topics to turn the conversation to their own "cause'? What would make an interesting topic = one I've never come across before - is all the people and the shattered lives of those who have followed this plethora of inspired messages over the years. Clearly the internet has made such spreading of the so-called messages so simple and fast. But the shattered lives of those who lived according to the false time frames would be a wake up call. I am in the same boat as many others. My house is stockpiled with boxes everywhere with two years worth of medical supplies, cleaning products, cases of canned beans and vegetables, cases of pasta, etc. You can't walk five feet in my house without tripping over a box. And my basement is close to impassable with supplies. My kids 13, 12, and 11 don't know why daddy and mommy are stockpiling stuff. And I was planning to get my FID and purchase firearms so when we need to baracade ourselves in our house due to the roaming mobs due to the civil unrest I would be able to defend my family. The LTTW and the messages of Charlie Johnston have me and my wife freaked out. Thank God that LTTW turned out to be a fraud. I don't understand how Fr. Esseff could have given his blessing to this. 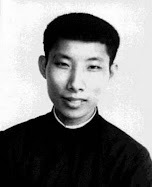 Like others I also thought Fr. Esseff with his connections to Mother Theresa and Padre Pio and his stature in the Church would have alerted us that these messages were wrong. Instead Fr. Esseff seemed to have dropped off the website leaving us to think he still supposed this but wanted to retire from the limelight. I'm now wondering about the Charlie Johnston messages. Charlie says he has priest spiritual directors but who are they? And didn't LTTW woman have a spiritual director, namely Fr. Esseff? Why aren't the Bishops investigating these people? I truly think that the brilliance of the Church's teaching shows forth here. As it says on the LTTW site: "These are private revelations and there is no need to believe them. If these revelations help your faith, then receive them. If not, you can set them aside. We are called to believe only public revelations." I have read all of the daily messages and I have to say that there is some absolutely profound and fantastic stuff for prayer. Many of the messages that don't speak about events speak about a deepening of our relationship with our Lord and Lady. And implore us to set aside time for prayer and seek the grace of God in the sacraments. So I say, let us not be disturbed by the specific event prophesies (as it have been mentioned, all confusion and unrest comes from the evil one). Most of the time, it is only in hind sight that we truly see the significance of any prophesies. This is how it was in the Old Testament and how it was for Sr. Lucy in regards to the beginning of WWII. Let us grow in holiness so as to love God and others more completely. If the LTTW help you do so, great. If not, set them aside. To quickly add onto the above--though I did think that it was possible that a collapse could happen while Pope Francis was in America as the LTTW claimed, I did not take any real action to prepare. The reason being is that as I had taken it to prayer, the answer always was to be at peace and allow to Lord to provide. As the LTTW themselves have claimed, our Lord will always provide, especially through our Lady. Now if I would have taken it to prayer and the Spirit kept nudging me in a certain direction I would have brought that up with a spiritual director. But I wasn't nudged, so I stayed at peace. So these type of things must always be prayed with and discerned, especially with the help of a spiritual director or strong spiritual friend when possible. Well, unless something miraculously happens in the next 6 or so hours, then it is clear that this LLTW Locutionist is a false one. When reading those locutions, I do not get the feeling that they are from Mary. 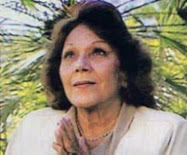 On the other hand, I get a better feeling when reading Luz de Maria at http://www.revelacionesmarianas.com/english.htm So I guess I am asking if you've read those, and if so, what do you think. Along with being deceived and misled, one of the other great problems with false visionaries and prophets is that when their falsity and deception it established, it only spreads more cynicism and opposition towards other possibly authentic visionaries and mystics, and it fosters excessive skepticism for the authentic spirit of prophecy in the Church. This is precisely how the devil sought to muddy the waters a Lourdes--by raising up a slew of false visionaries in an attempt to sling mud upon our Blessed Mother's message to St Bernadette. Fortunately, through the help of the Holy Spirit, the Church discerned the truth, and water that the devil tried to muddy became the healing waters that spring forth at Lourdes, thanks be to God and our heavenly Mother. And, since one commenter above mentioned the purported prophet from Colorado named Charlie Johnston, as the host of this website I have been discerning his writings and message for almost a year now, and I will say that thus far he has never told people to stockpile provisions. When asked about this, he has replied on each occasion that first and foremost spiritual preparation is what is necessary, and that in regards to material preparations, he has repeatedly said that each person should follow their own inspirations in regards to making any material preparations. -Not that I am defending or supporting him here--I am simply obligated to clarify the truth in such matters. Nor do I think that the comments on this article should stray into the reporting or messages of other purported visionaries, mystics or prophets. I think it is best to keep on the matter at hand and not paint other alleged visionaries with the same brush. Just my .02 cents. You are correct that Charlie Johnston doesn't tell anyone to stockpile but there are prepper links on his website. Also, if you have young kids it's hard to read his messages and NOT stockpile. He says money will be absolutely WORTHLESS for a time period. "On the one hand, if you get them taken off now, you won’t have to worry about it when you have a lot of other things to worry about. On the other hand, if you leave them as they are, it can be a sign of trust. Make your decision deliberately and all will be well. (Now, as for me, I remove all the needless worry I can – for there will be plenty that comes upon me)." Can you imagine a parent actually considering taking their child who is in the middle of Orthodontia and having their child's braces removed out of fear of the storm? But I guess if this was true that would be the prudent thing to do. I think stockpiling "weapons" is clearly missing the point when it comes to religious messages! Things are getting worse in the world, for sure, sometimes it seems like on an hourly basis. But messages from locutionists inspire me to pray. As to my personal protection, I plan to rely strictly on our guardian angels. Also, what little I have stockpiled I'm planning to SHARE. Well, I don't think that we should associate or mix Charlie Johnston in this current discussion on LTTW, simply because these are completely seperate persons and matters. For those interested in Charlie, I have written an article about him which can be found by doing a search in Google or by using the "search" bar on this website. The article I wrote can only be found by doing a search as I have purposely NOT put any links on this website to the article, because I like to use caution and discretion towards purported LIVING visionaries and prophets. So, instead of mixing Charlie Johnston in with this LTTW affair, those who would like to discuss Charlie Johnston can certainly comment in that article I wrote concerning him, as the discussion there has also been quite lively and interesting over the past 9 months since I first published the article. I deleted these messages concerning "Holy Love" ministries firstly because they do not have any association with LTTW and the subject at hand, and more importantly because in 2009 the local Bishop issued a Decree against these purported messages. Those interested can read the Bishop of Cleveland's Decree here. Sorry but I do not allow visionaries whose messages have been condemned by their local Bishop to be posted on this website. 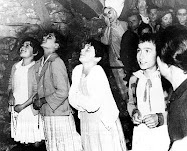 "The beginning locutions are very special; focusing on the Fatima Vision (released by the Vatican June 2000). Concerning Private Revelations: These are private revelations and there is no need to believe them. If these revelations help your faith, then receive them. If not, you can set them aside. We are called to believe only public revelations." Well Kelli, I think at this point the failed prediction really speaks for itself. Oh my Goodness gracious people. Every time we read about a seer or a locutionist, it is our responsibility to pray so we can discern. Don't blame these websites for your decisions. There are a lot of false prophets, scary doom and gloom websites enough to drive someone to the nutty house. We have to trust God first, pray, and do you think it is best for your family. As for me well. I got pretty scared for a while but then I realized whatever happens to me or my family or anyone will be the Will of God, not my will. So even if I stockpile for years if God decides we are not going to make it, then no matter what I do or we do to prepare. I think it is good to prepare but I don't think is a good ideas to spend thousands of dollars to do it. God will take care of his people even if we run out of food. We have to Trust Him more than worry. The Bible says there would be lots of False Prophets in our times. We shall know the True Ones by their fruits. God Bless and protect us all through his Sacred Heart. If Monsignor Esseff has publicly disassociated himself from the locutions, why hasn't anybody in these comments been able to provide a link to it? It should be online somewhere. It should be on his website, for everyone to see, without any shadow of a doubt. I am disappointed right now - certainly not because we didn't have a disaster, but because I have never read any locutions which seemed so motherly, so encouraging, so peaceful, even in the face of predicting terrible events to come. There is nothing in them which seems bad or wrong to me, nothing misleading. Why would a human being with any sense at all, predict a worldwide disaster to occur on a certain date? A mere mortal could never cause such a thing to happen, or have any sure knowledge of such a happening. They would undoubtedly look extremely foolish. This is a puzzle. These days are a war between Satan and the Blessed Mother - perhaps he has deliberately held back with this disaster in order to discredit the locutions. It is a possibility, although I don't really know what to think. This idea of everyone being in her Immaculate Heart is nothing new, or strange. She is often referred to as the Ark, and I think we don't realize the power God has given her. It's plain that something is going to happen in the world's finances - it's inevitable. I can't imagine any politician being able to fix things at this late date. The whole world would have to turn to God wholeheartedly, and that's not likely, is it? Almost every one I know has so little knowledge of God any more - things are at an awful crossroad. I have always been impressed by the fact that the locutionist is anonymous; the Blessed Mother was always the main character of the messages, with no possibility of a misguided following of the messenger who's only the mouthpiece. That's the way it should be, I think. Of course, there are dangers in every situation. I honestly don't know what to think. The main purport of these messages has always been to increase your Marian devotions, and rely more on Her, who is the Mother of God. Is this bad? To the degree that locutions soaked up time, money and attention that could have been used more productively, they are bad. And even if some of the elements in them were good and promoted prayer, the effect on many was to make them spend money and live with anxiety. If there was any deceit involved in their promotion, that makes them worse. We don't know yet. Spend money on what? I've read them all - they never spoke of anything about being able to avoid any of it by stockpiling. Years ago, I used to believe in the Bayside messages, and those proponents were providing ways to obtain supplies to help through the bad times. This locution never said anything of the kind. I also spent money for dehydrated dinners, etc. I have since thrown them all out. I've come to see that it isn't about surviving with our lives. If we are real Christians, it's the spiritual life we need to be concerned about. Jesus said not to worry about material things. He himself paid the tax from a coin her removed out of a fish's mouth. I think this is what God is leading us to. The Blessed Mother is a mother foremost. She will help us to keep up our faith, to live in deprivation, to give/get help from our neighbors,or to die well. What is the purpose for Christians to have food, and others outside, be without? What kind of Christian example would that be? It's scary, but I expect God and His mother will help me one step at a time. OK I have to admit... I was one of the suckers. I took money out of the stock market. I wasted untold hours worrying about this, ok worry is the wrong word. I spend untold hours thinking about it and reading about it which could have been better used. Im so interested to see what their next posts will be. I dont care what they say, whatever they say I think as a whole this community needs to hit the fb page and other forums and makes sure everyone knows they are false messages. We owe it others who may be searching it in the future to know they cannot be deemed reliable and dont waste time on them. 1) Introduce subtle errors in the beliefs of the faithful, especially that of disobedience to the legitimate Church authority. 2) Send forth an abundance of uninspired messages so that the true mystics, visionaries and prophets who, like chosen trees, might get completely overlooked by humanity due to the ceaseless barrage of false messages, so that the true tree with its true message might get lost in a forest of false ones. 3) And when the folly of the false ones eventually gets found out, that those following them might get disillusioned and have their faith shaken, and perhaps even fall into despair, and also so that those seeing the folly may become indignant, hyper-critical, and over skeptical towards all purported visionaries/mystics/prophets, and thus quench the authentic spirit of prophesy and mysticism in the Church, as guided by the Holy Spirit. Such are some of the manifold deceptions of the devil, who always seeks to ape the things of God. With his immeasurable pride, the devil does not seek to counterfeit tin or copper--he only seeks to counterfeit gold. I know what you're saying, Glenn. We are living in a morass of confusion, I think. For all of you that are disappointed that these latest locutions didn't come true, thank God it didn't! Un-Holy-Wood makes it look easy, but I can guarantee, most of us would perish if the economy crashed. Stop putting your time and effort into these individuals that have been receiving these so-called "special messages" from our Lord and His Mother. Jesus left us His church guided by the Holy Spirit, and gave us the Sacraments to get us to heaven! The Catholic Church is where one should be getting their messages and not by some "unknown individual". Why would you even put your trust in an individual that you don't even know from Adam? So, LTTW has finally been proven to be absolutely false. I should be rejoicing, but instead there is a deep sadness for the person dispersing these messages. He or she must have believed very strongly that Jesus and Mary were speaking to him/her. Must have heard the words and wanted to share them with others. And now, to be publically humiliated, I feel the pain will be very bad for this person. But good must come out of the pain. There is an urgent need to immediately reflect on and discern what could have led to this deception. I believe that the person was first deceived, and then went on to perhaps, unknowingly, deceive others. What caused the door to be open to deception? Was it a hidden pride, a carefully disguised self-adulation that believed itself to be Special and Chosen by God? Was Spiritual Pride at the centre of this whole mess? Whatever the reason for this deception, it is one each and every one of us must be cautious of, because this is a danger to all of us and not just this LTTW person. For those of us who have gone on to overdo our prepping, clear money out of banks et cetera, we need the humility to look inside ourselves first, to ascertain the reasons for our own gullibility. There's not much point railing and ranting against false seers. Yes, anger has its purpose for a time, but we must not let it cloud our deeper weaknesses. This sad travesty must make us question ourselves and repent or, it won't be the last time we fall for something. There is quite a bit of wisdom in these comments, I think. Thank you all for commenting thus far. Tonight there is blood on the moon and a false prophesy goes boom!--Sorry for the jesting, but during serious matters I often will add a little humor to lighten things up a bit, else with all the seriousness we might lose the joy of remembering that we are the children of God, and that in Him we shall never be forsaken. "For we know that God works all things together for the good of those who love Him." Romans 8:28). These false prophets will be on the rise as evil increases and as mental disorders increase. Each person who fell for this needs to take a deep look into their soul and discern why they were so gullible and so easily mislead. WHAT ARE THEY LOOKING FOR IN THEIR LIVES THAT THE LOCUTIONS FILLED UP? WHAT FALSE DOCTRINE(S) DO THEY BELIEVE THAT HELPED LEAD THEM ASTRAY?? I have not read all of the comments here and so what I am saying may have already been noted. Perhaps you all remember within the past 3 months when "Mary" said at least twice(roughly quoted) "as the storm clouds are gathering do we not hear the thunder, followed by the lightning?" Anyone properly grounded in science knows, the thunder follows the lightning, not the other way around. This gave me pause but I eventually overlooked it, giving her the benefit of the doubt. Maybe I shouldn't have. "Tonight there is blood on the moon and a false prophesy goes boom!" haha I appreciate your jest, Glen! For those interested in private revelations, I have compiled a list of 33 Church-approved mystics (who received private revelations), in response to the barrage of false prophecies that abound today. Anon -- yes, we all know that light is faster than sound :-). But I am assuming what "Mary" said there was an allusion to the simple fact that, whenever a storm approaches, almost invariably what you perceive first is the sound of thunder. Anyway, thank you, Glenn, putting this up for our discernment (there was nothing wrong in doing so), and thank you also for being quick to point out that it is now time to discard this alleged "seer" due to a blatantly failed non-conditional prophecy issued. The Shemitah, the Locutions.org prophecies, the Blood Moons... all is over now, and, of course, nothing has occurred. Time to turn our eyes to the truly Great Sign given to us -- the Holy Year of Mercy. Let us all heed our Holy Father's call to proclaim the Divine Mercy while there is still time! For let us not assume that there will still be time for that after his Year is up and the Door of Mercy is sealed shut. I agree on being misled. If a person can be mislead so easily by someone who was so bad at it, how on earth (or heaven) do they stand a chance to discern the spirits when the one doing the misleading is actually good at it? Or how will they they tell the true prophet when he/she speaks? It's not the false prophet that should draw our anger but ourselves for being so easily mislead! Daniel what do you mean by this... Time to turn our eyes to the truly Great Sign given to us -- the Holy Year of Mercy. Let us all heed our Holy Father's call to proclaim the Divine Mercy while there is still time! For let us not assume that there will still be time for that after his Year is up and the Door of Mercy is sealed shut. Sealed shut? How is his mercy every sealed shut? The Prophecy is still in Play. Why? It says TRIP, not VISIT. He's talking on the PLANE for the next few Hours. American Stock Futures are in the Red. That means a Collapse may have begun when Pope Francis was in New York City because the stocks crashed at the end of Friday. Grasping at threads. . . because to admit it is over is to admit they believed a lie. What part of them NEEDS the locutions to be correct? What is lacking in their lives that they glom on to something like this and hold tight? Throughout history there have been tens of thousands of people like the author of the locutions. Each one was off a bit (or a lot) and many actually believed what they wrote or said. Mental illness is not a new thing but it suddenly has a wide audience with the internet and buffoons who help spread the word. well that would leave about 3.5 hours of flight time left... so if no collapse overnight and message from the Pope, then what? Seriously then what will you think? And says will happen while IN America.. there was no collapse while he was here.. The collapse will not come before Pope Francis comes to America but it will happen while he is in America. I deliberately brought the Pope to America, the world’s financial center, to be here when it takes place. Thank you for keeping watch! I hope the information below may help you in your discernment of the Locutions to the World (LTTW) messages. Will it automatically mean that the LTTW messages do not come from Heaven if the economic collapse does not take place during Pope Francis’ US visit this September as allegedly prophesied by Our Lady in LTTW? Pope Pius XI died on 10 February 1939. Pope Pius XII was elected on 2 March 1939. World War II began on 1 September 1939 during Pope Pius XII’s reign, and not during Pope Pius XI’s pontificate, contrary to what Our Lady stated in the Second Secret. a.) Authentic prophecies do not always come to pass exactly as they are stated. As shown in the Book of Jonah, since God is a merciful God, He may choose to delay the fulfillment of a prophesied destruction or to completely cancel its execution owing to the prayers and sacrifices of people. The prophet Jonah was quite sure that God would destroy Nineveh, fulfilling the prophecy he declared to the city’s inhabitants. When God did not destroy the city because the people repented, Jonah was very angry and camped outside the city waiting for God to destroy it. The story of prophet Jonah shows us that not all authentic prophecies will come to pass as they have been exactly foretold by God’s prophets for God’s mercy can always withhold destruction, even without the prophet knowing about it beforehand. As it is shown in the story of Jonah, God indeed can change His mind and choose not to execute the prophecy which He has instructed His prophet to proclaim to people. God also reminds the faithful to give thanks to Him when He does not push through with a prophesied tribulation and that we must not be like Jonah who was angry at Him for not fulfilling a prophecy of destruction. “Like a mother, I am telling you the dangers through which you are going, the imminent threats, the extent of the evils that could happen to you, only because these evils can yet be avoided by you, the dangers can be evaded, THE PLAN OF GOD’S JUSTICE ALWAYS CAN BE CHANGED BY THE FORCE OF HIS MERCIFUL LOVE. ALSO WHEN I PREDICT CHASTISEMENTS TO YOU, REMEMBER THAT EVERYTHING, AT ANY MOMENT, MAY BE CHANGED BY THE FORCE OF YOUR PRAYER AND YOUR REPARATIVE PENANCE. The message above is taken from the book titled “To the Priests, Our Lady’s Beloved Sons”, also known as the Blue Book. The Blue Book is a compilation of messages given by Our Lady to Fr. Stefano Gobbi. + Donald W. Montrose, D.D. As instructed by Our Lady to Fr. Gobbi, the faithful are not to complain when a tribulation predicted by her does not come to pass. Instead, Our Lady says we must give thanks to God, for “He alters the period of justice” in response to the prayers and sacrifices of His children. The BEGINNING of the Economic Collapse may be what Our Lady wanted POPE FRANCIS to be present for. An Economic collapse can go on for a LONG time perhaps. "There is no precise definition of an economic collapse. The term has been used to describe a broad range of bad economic conditions ..."
Let us continue to put the Locutions to the World messages to the test! Though there are good reasons to believe that the messages may be authentic, we must always keep in mind what the Bible says about false prophets and we must always keep in mind that the Church has not yet approved nor condemned the LTTW messages. May authentic prophecy remind us and lead us to doing the Will of God, which is to love God above all things and to love one’s neighbor as Jesus loved us. May Our Lady bless us all! To the Triumph of the Immaculate Heart of Mary! The field of social psychology has in fact extensively researched the reasons people make these false prophecies and why people believe in them and their feelings when the prophecies are disproved. Anxiety including anxiety about mortality/death, mistrust of authority, sense of powerlessness, having a fatalistic attitude and need to place blame for the world's ills on another group (e.g the non church goers) are some of the reasons. Interestingly having a "date" and being able to prepare helps some people feel more relaxed. Sometimes people who get involved with these things are victims of abuse. Often when the prophecies do not come true people continue to search for evidence rather than face the emotional upheaval of recognising they have been duped. Others can become very mentally unwell. It is so sad reading some of the comments above. If people are struggling or wanting to further explore why these things attract them, they might like to consider consulting a good psychologist or priest who is also a psychologist. May people find peace in the truths Jesus told us. They are sufficient. Since this page loads 200 comments at a time, and this is the 200th comment, those interested in reading more comments will need to click on the link directly below that says "Newest"